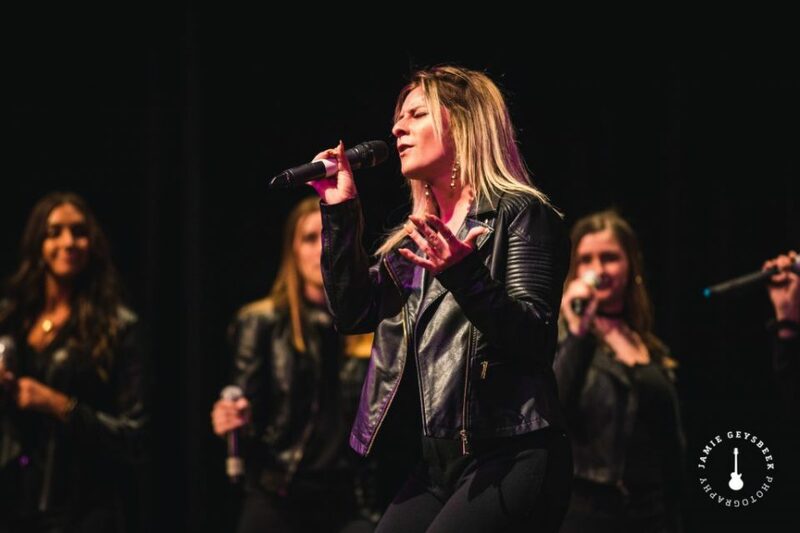 For dozens of student singers from across Michigan, it was a weekend filled with sweet harmony. 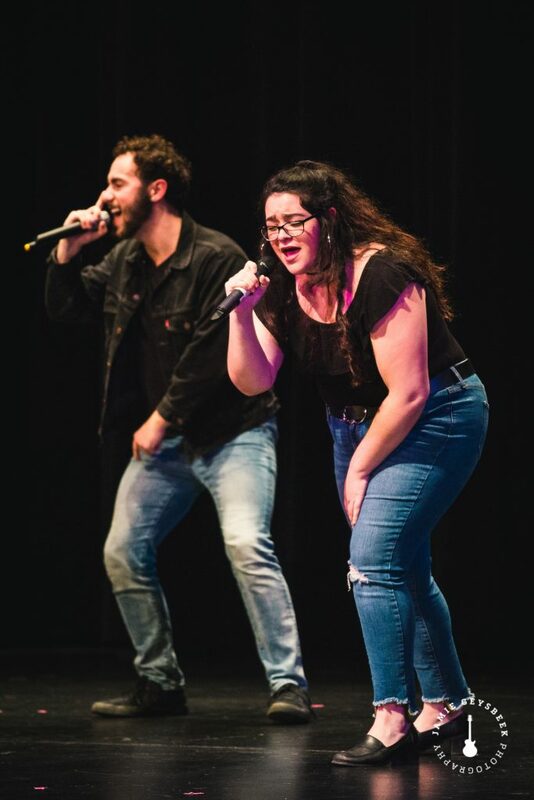 And for one particular group from Grand Velley State University, things were particularly sweet. 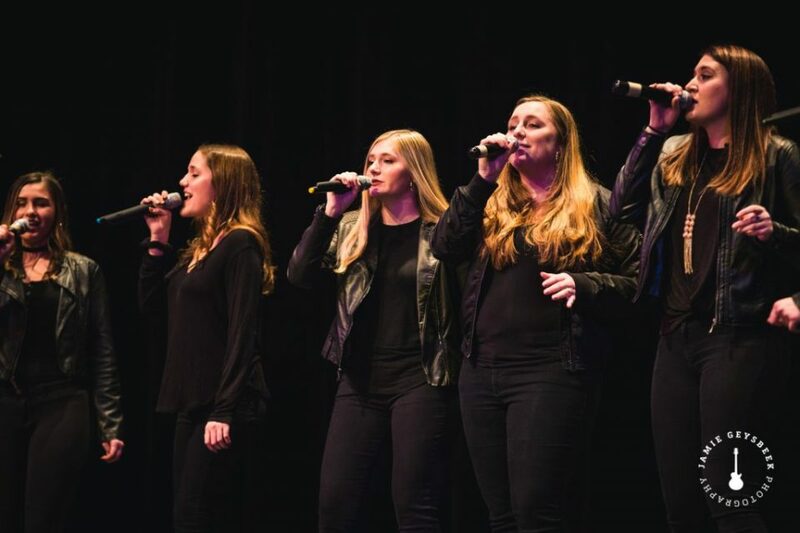 A cappella groups from Central Michigan University, Michigan State University and GVSU faced off in the 9th annual A Cappell-Off at Allendale High School on Saturday. 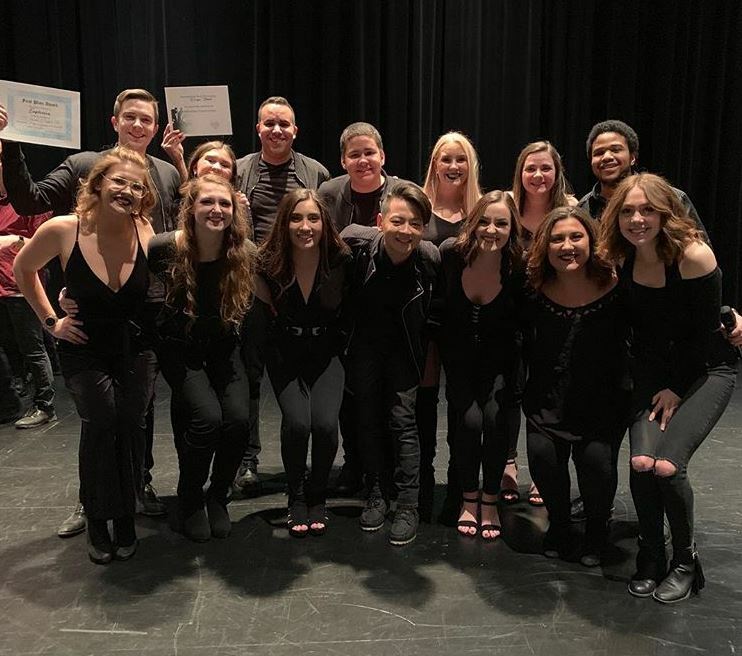 GVSU’s co-ed group Euphoria snagged the top spot at the fundraiser, which is organized by music sorority Sigma Alpha Iota. 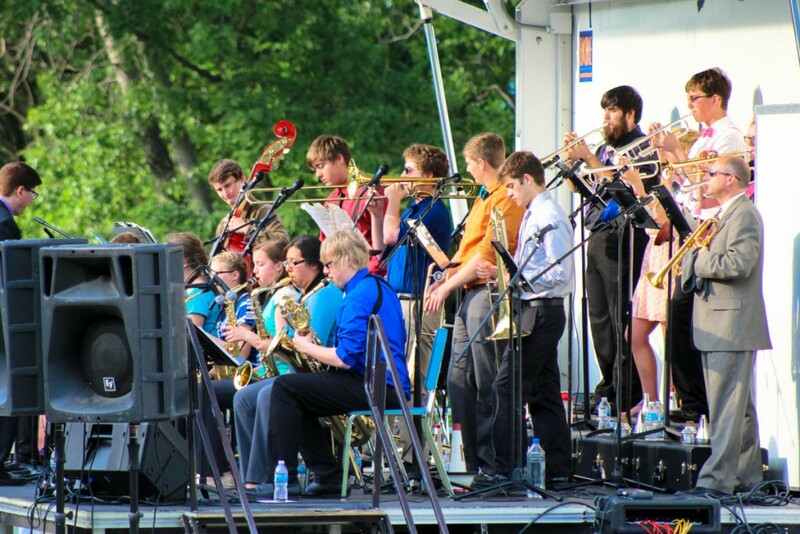 A portion of the proceeds goes to arts programs at Allendale Public Schools. 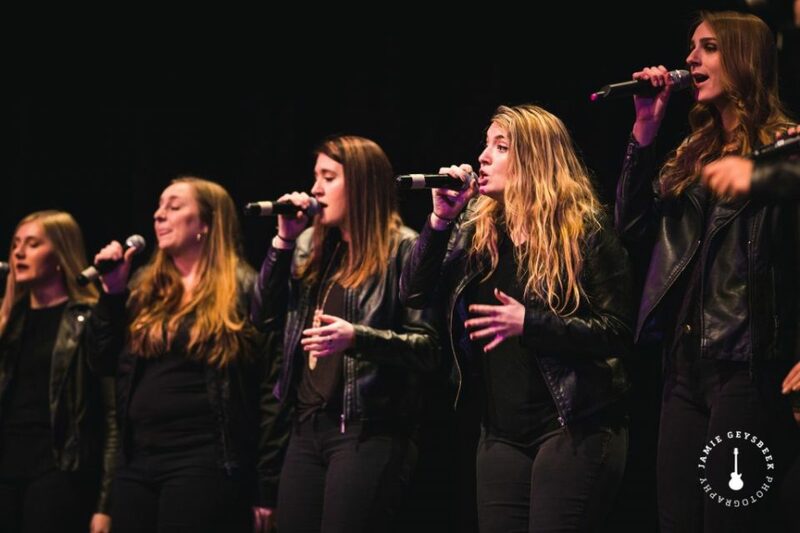 Last year, Euphoria won the Great Lakes International Championship of Collegiate A Cappella Quarter Finals. 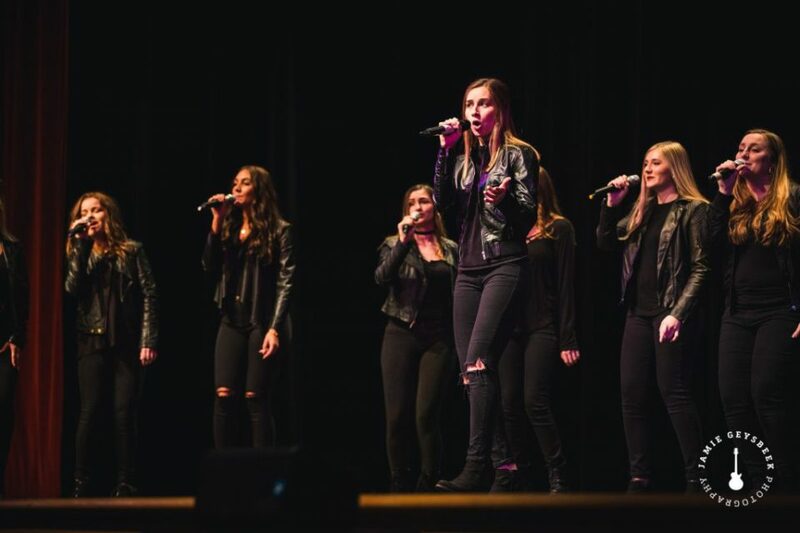 Each school featured two groups in the competition. 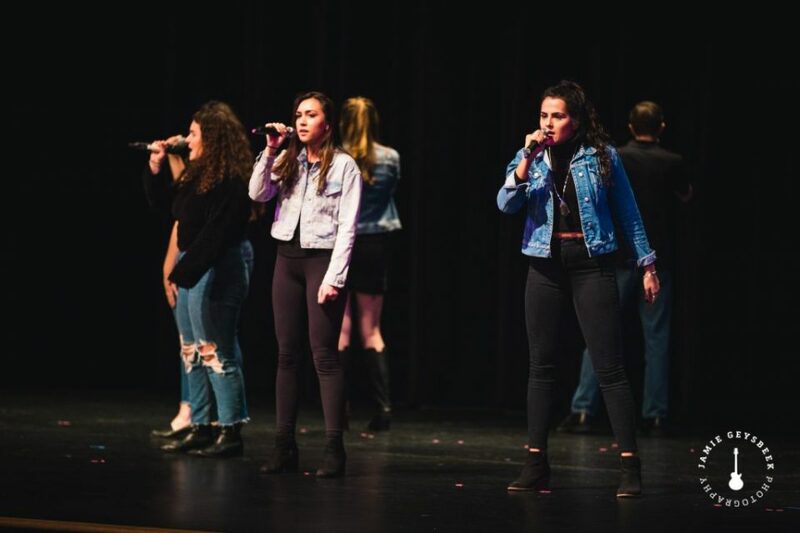 Also participating from GVSU was Midnight Snack, whose members pride themselves in being very close-knit, on and off the stage, spending time with each other outside of singing. 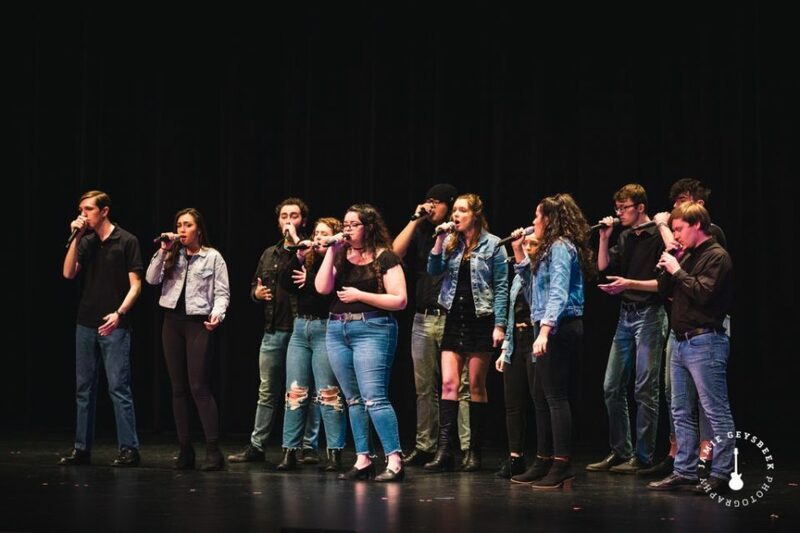 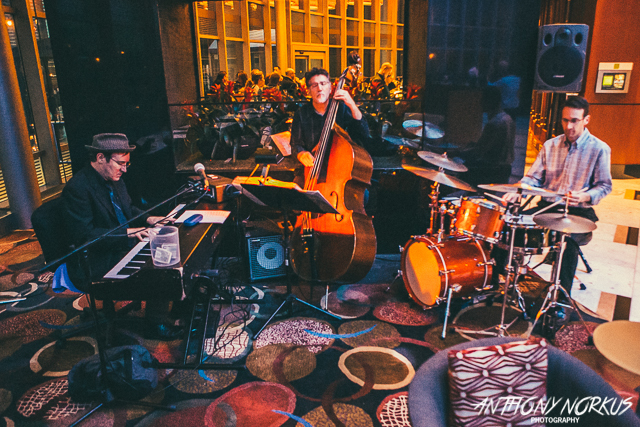 Each group — ranging in size from a dozen to 18 members — had a 12-minute set showcasing the songs they have been working on this past semester. 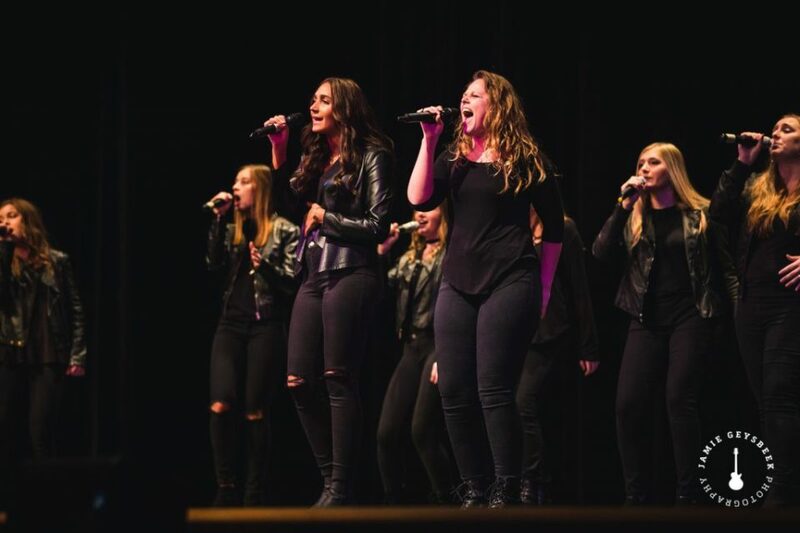 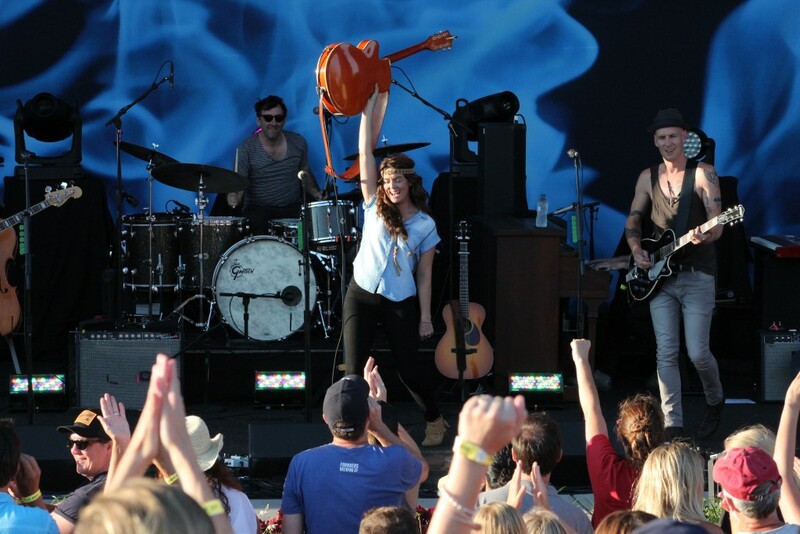 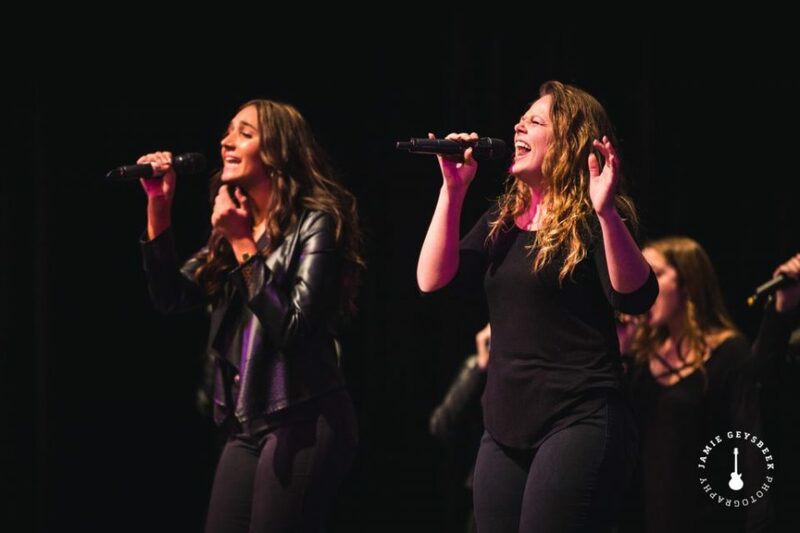 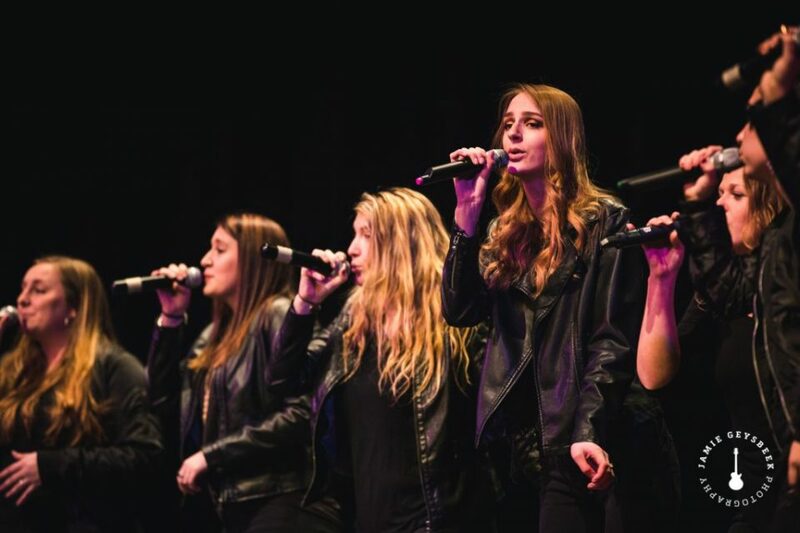 Grand Valley’s groups sang songs from artists such Kesha, Christina Aguilera and The Staves. 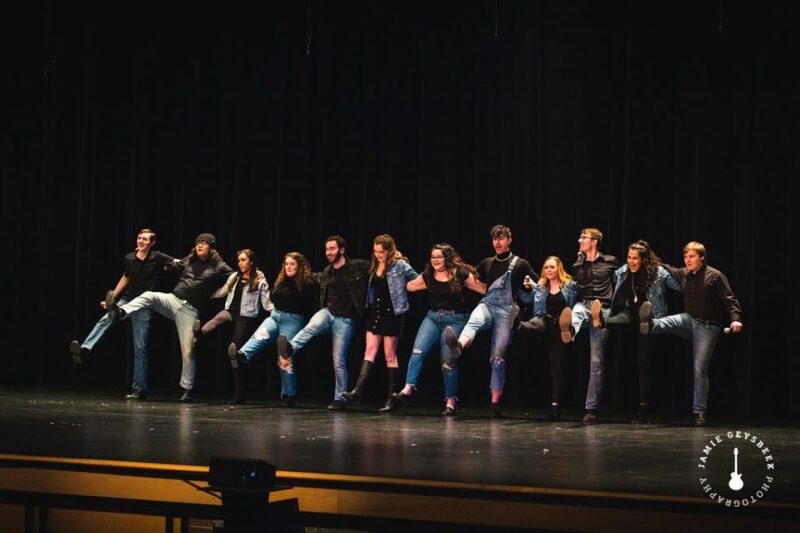 Brooke Fox, director of Midnight Snack, described the competition as a laid-back, fun night for everyone involved. 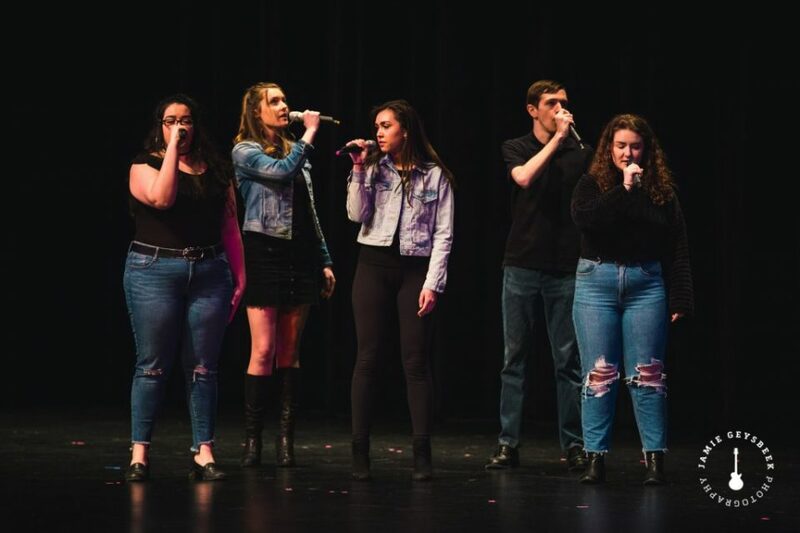 The event also featured a beat-boxing showcase, where a vocal percussionist from every group had the chance to show off. 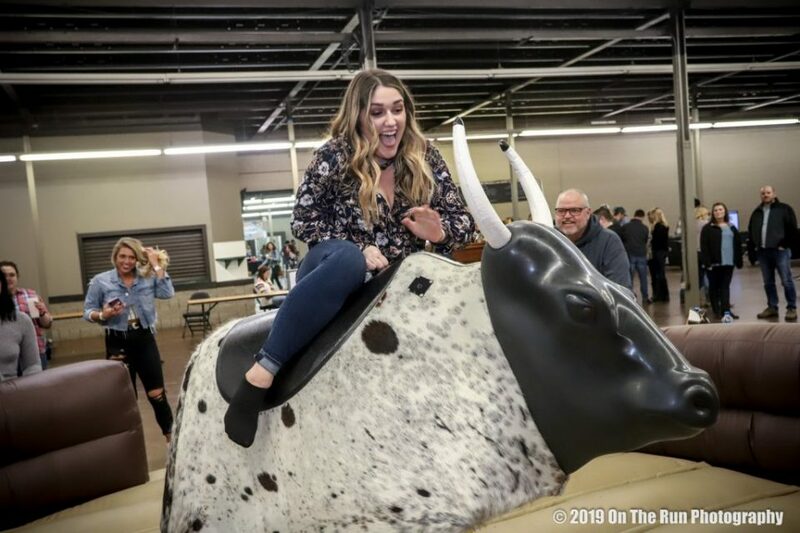 The competition was judged by volunteers from Allendale Public Schools: Emily Verdonk, high school choir director; Dan Dezwaan, elementary music teacher; and Denton Grant, high school band director. 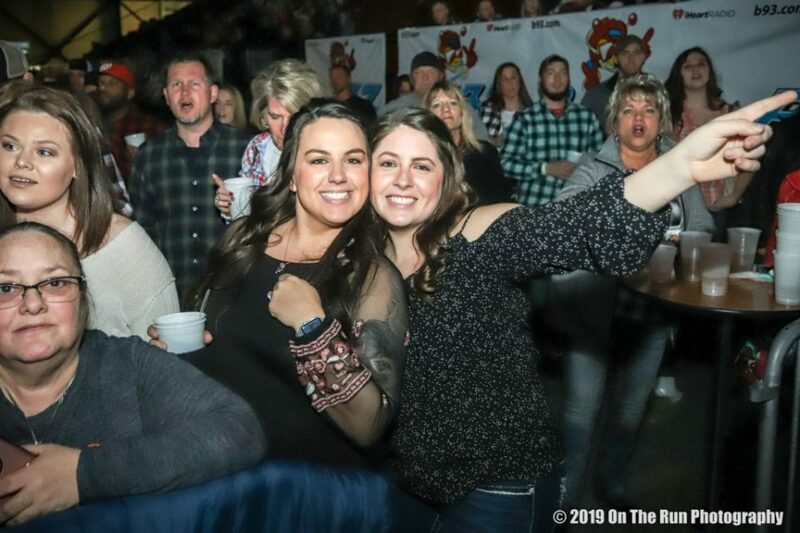 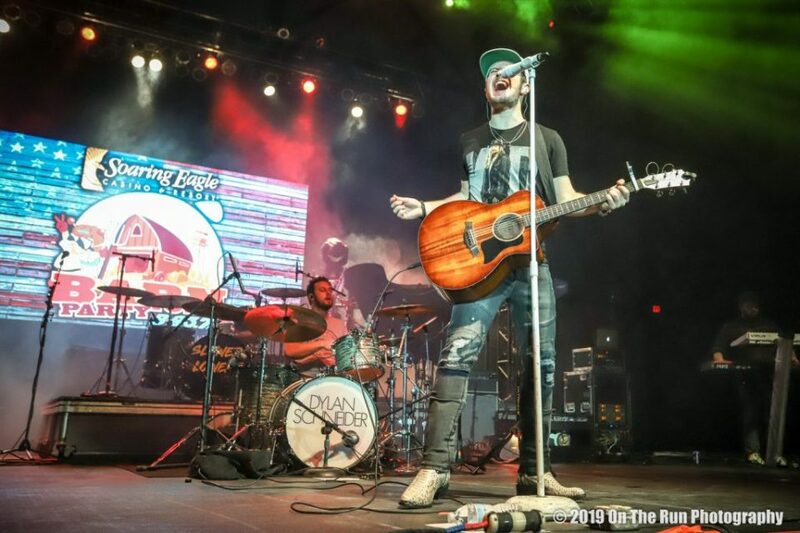 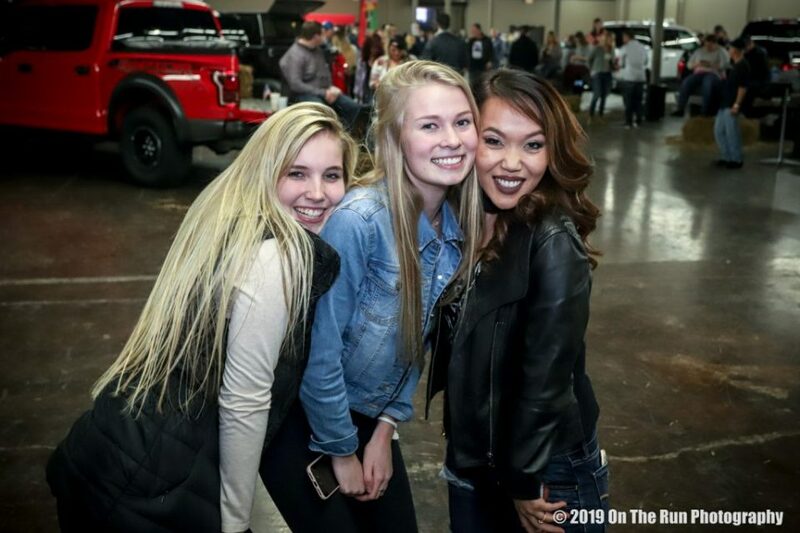 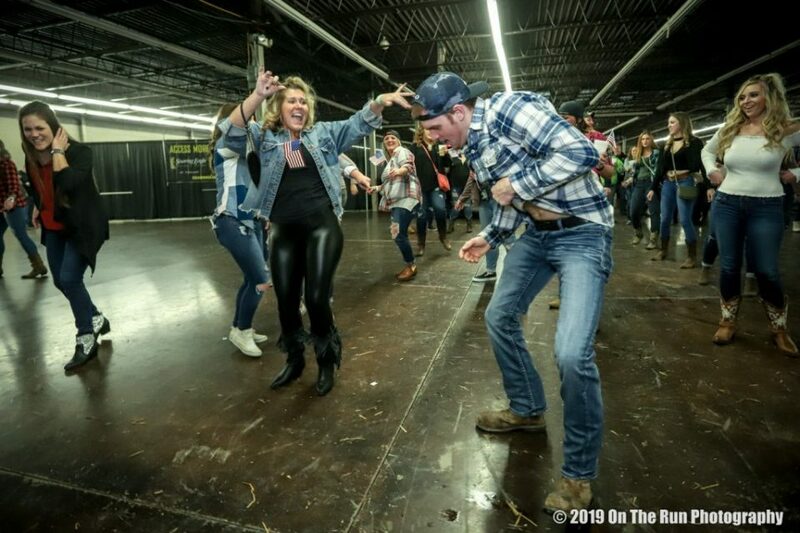 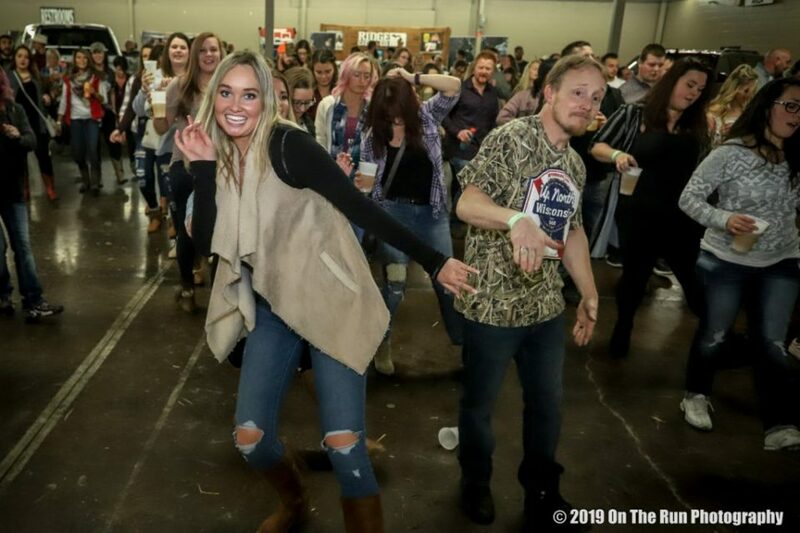 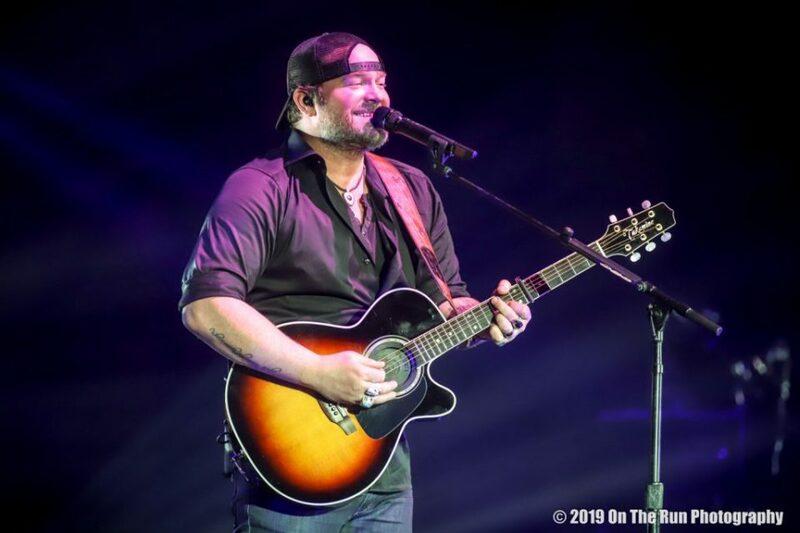 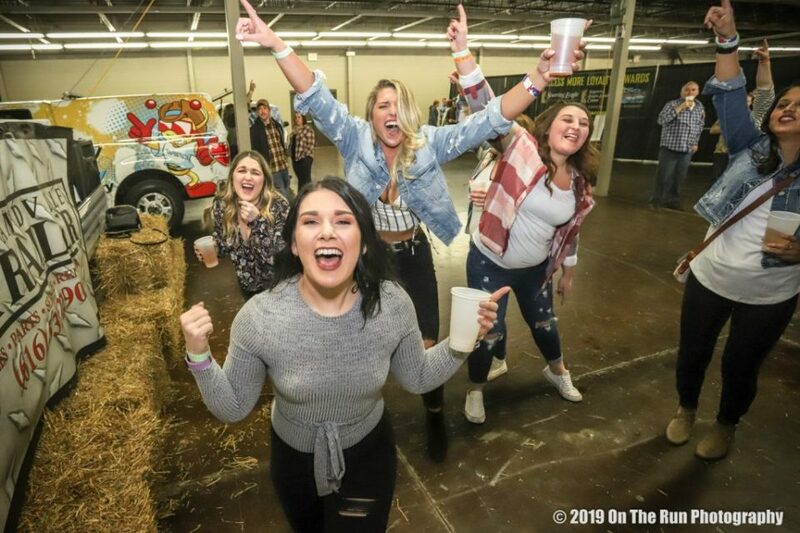 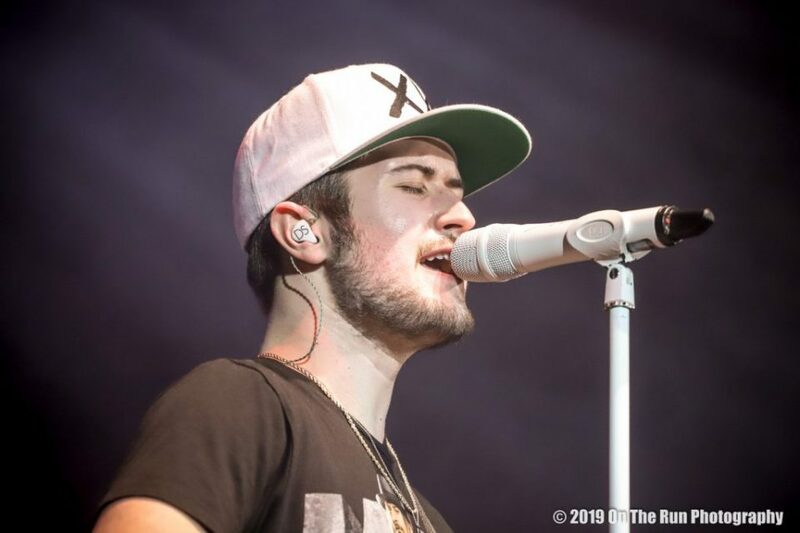 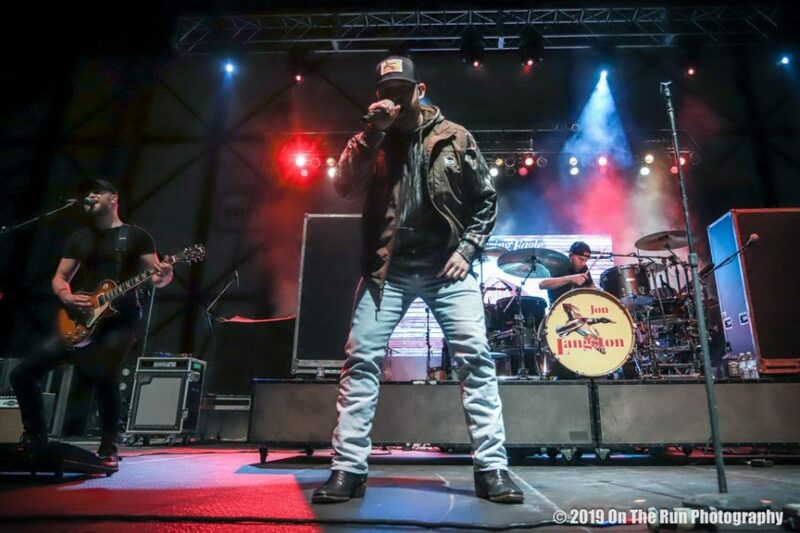 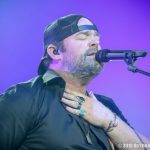 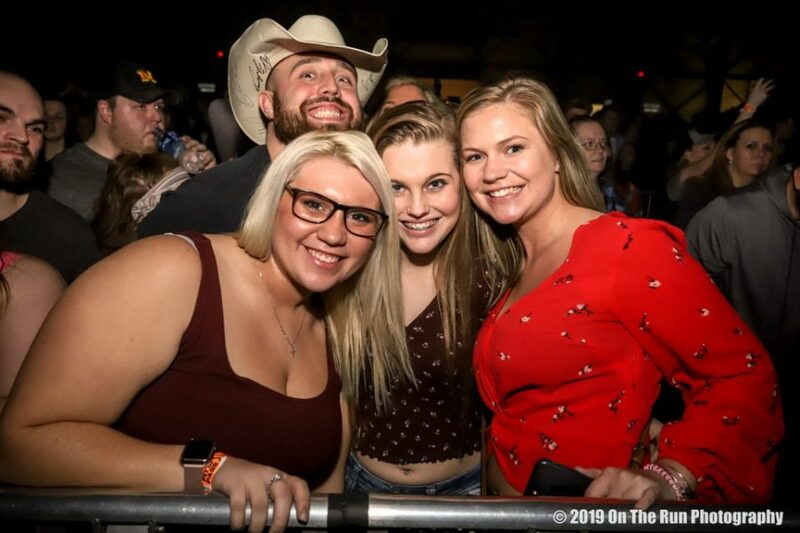 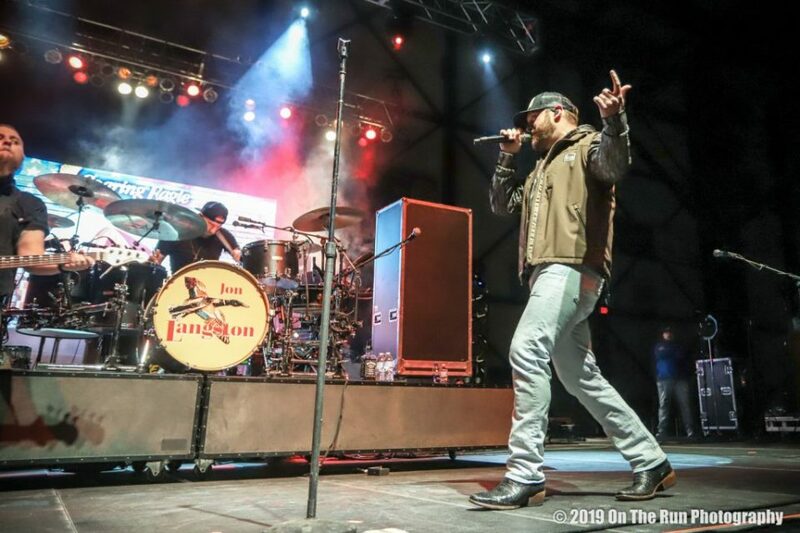 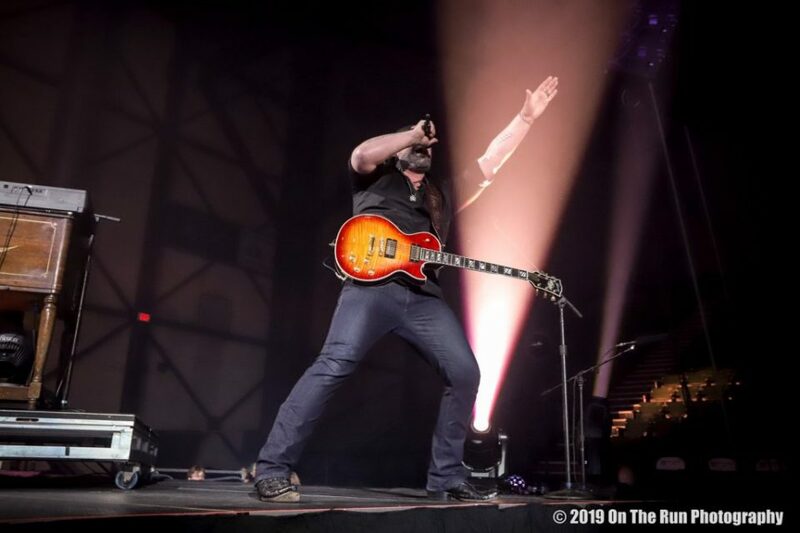 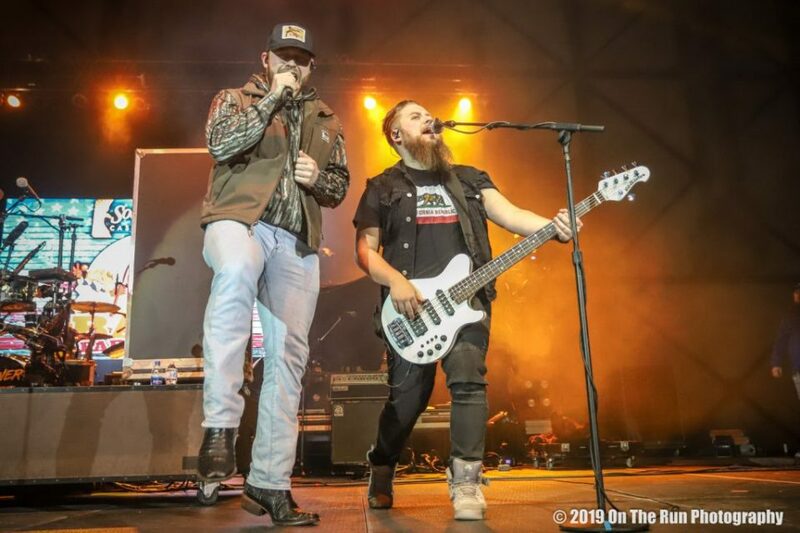 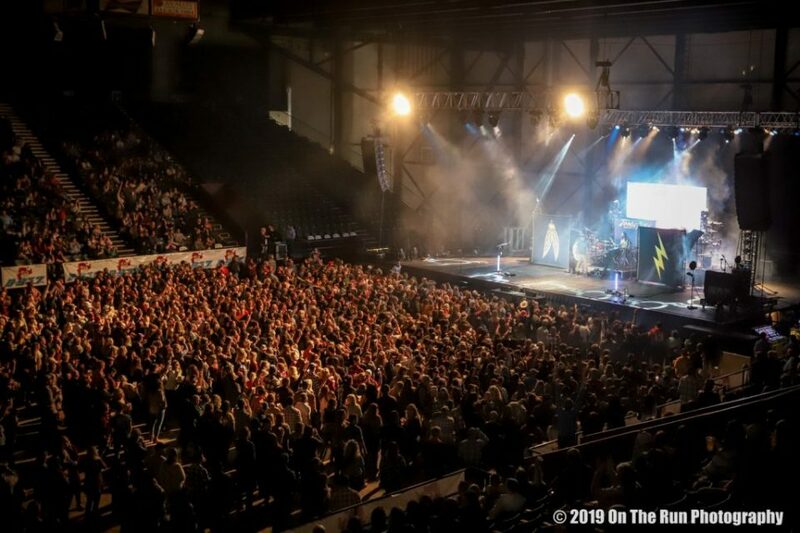 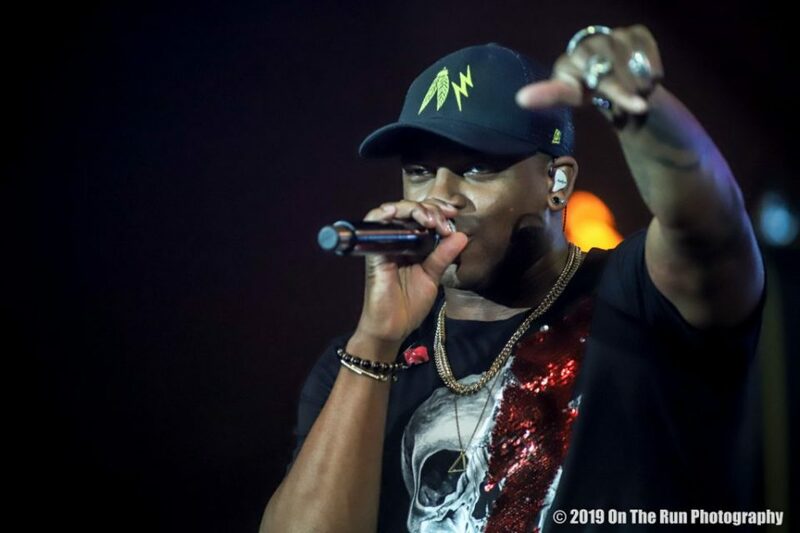 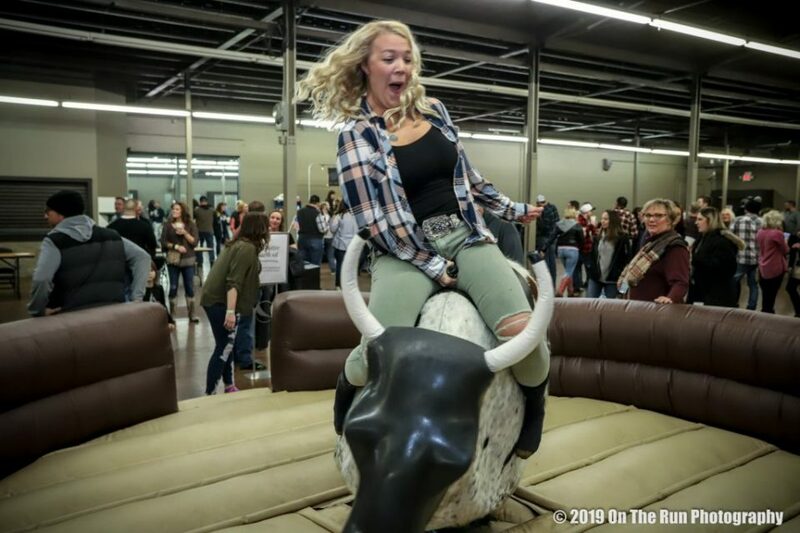 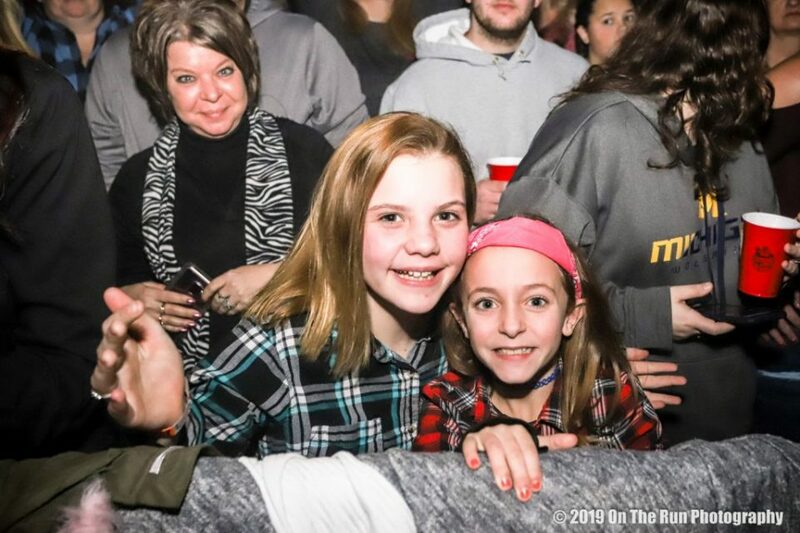 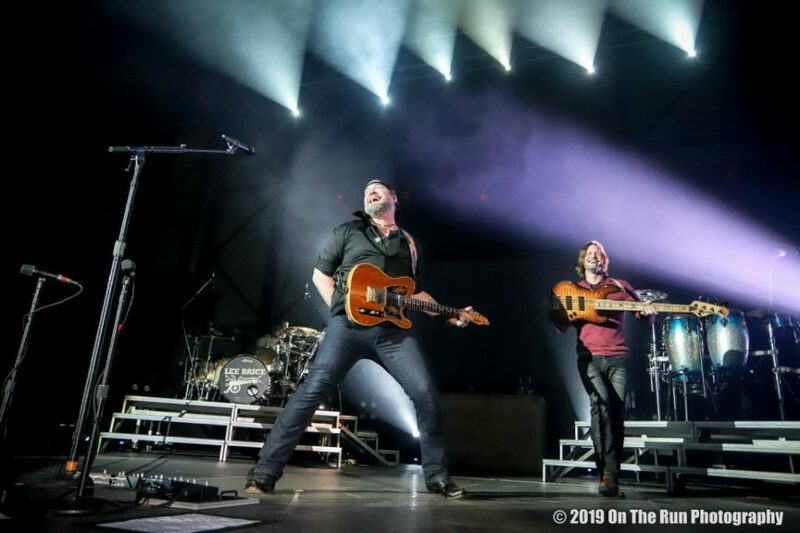 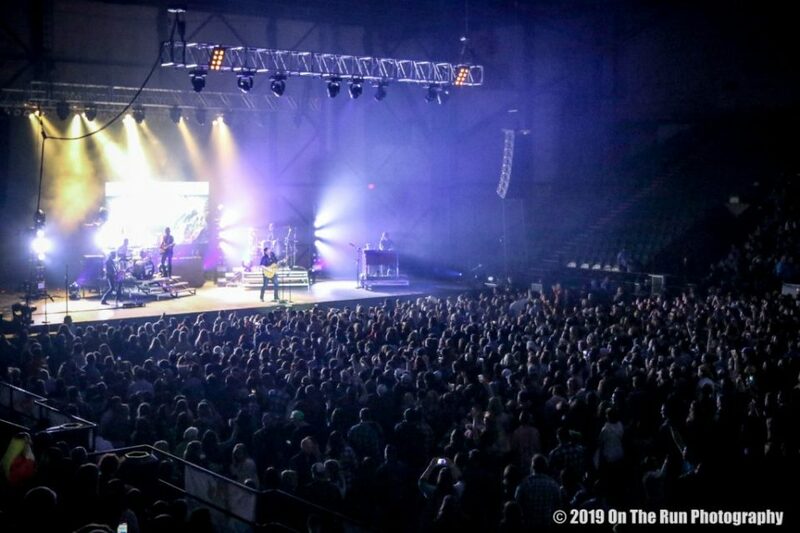 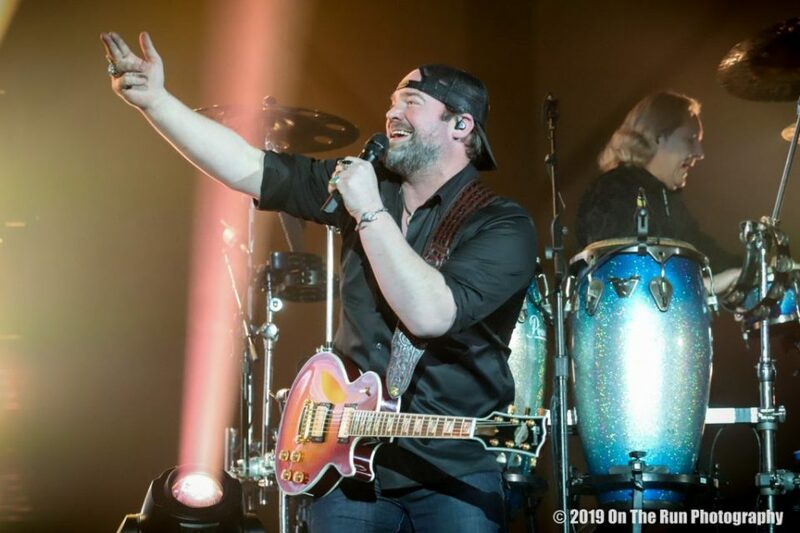 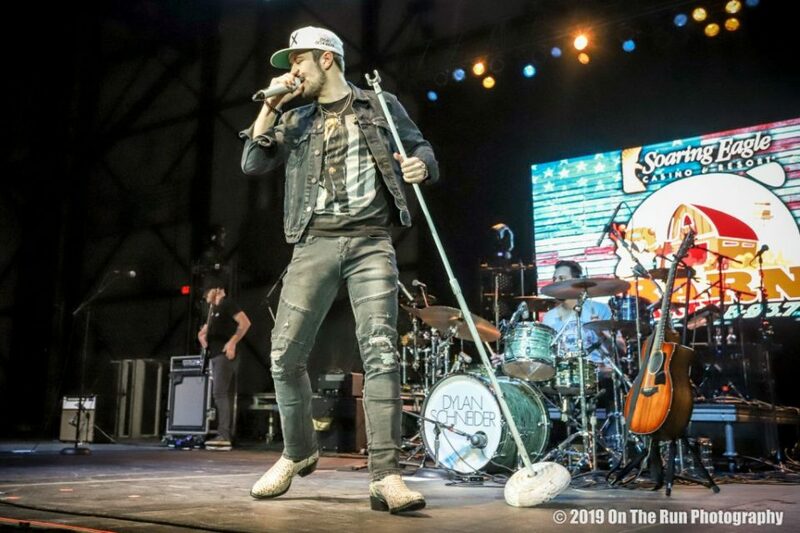 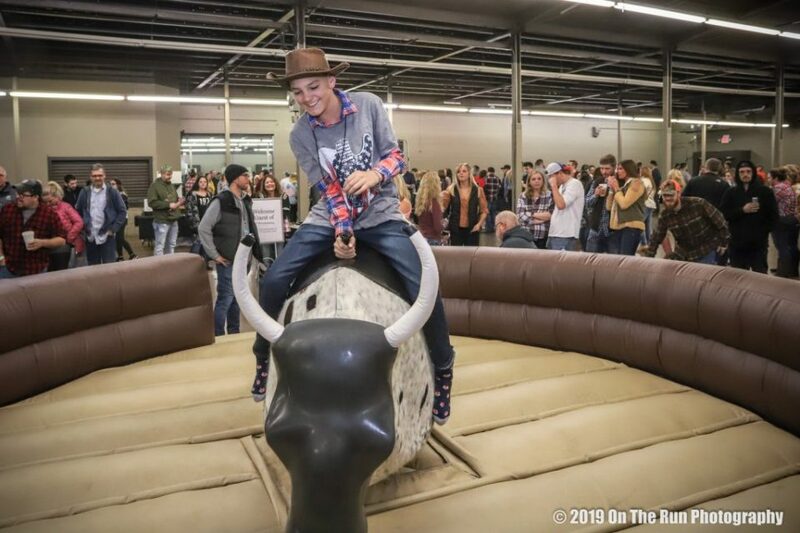 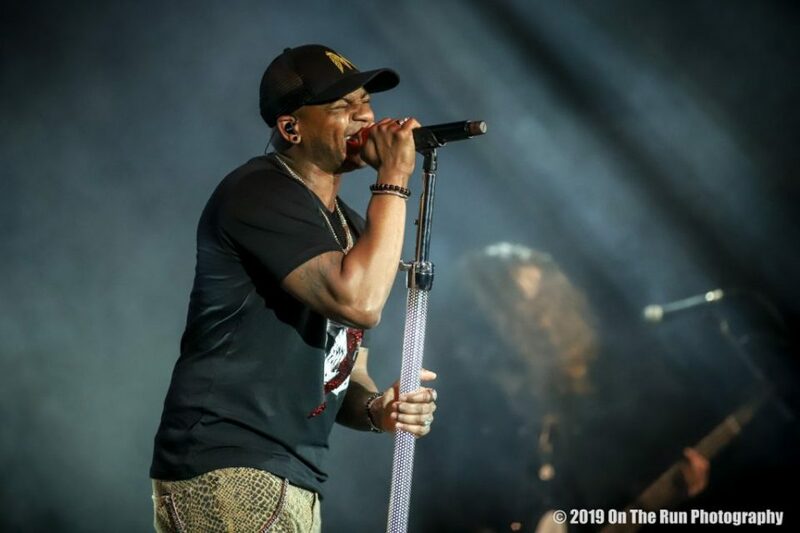 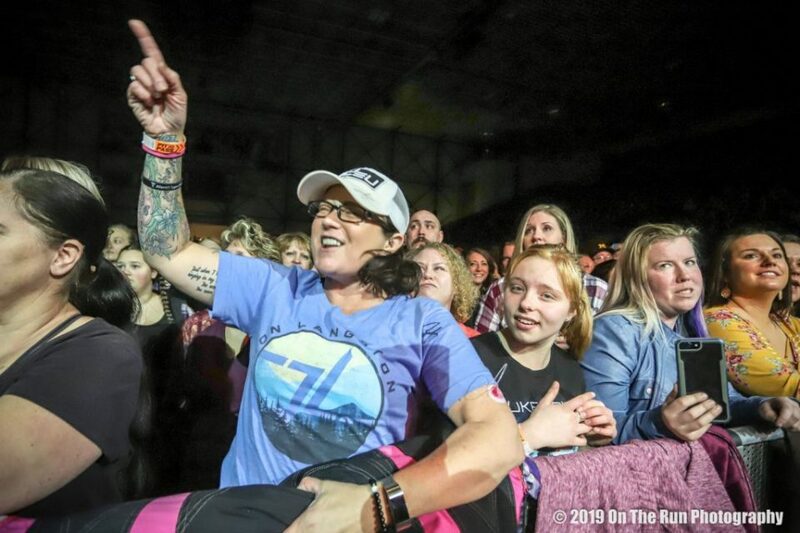 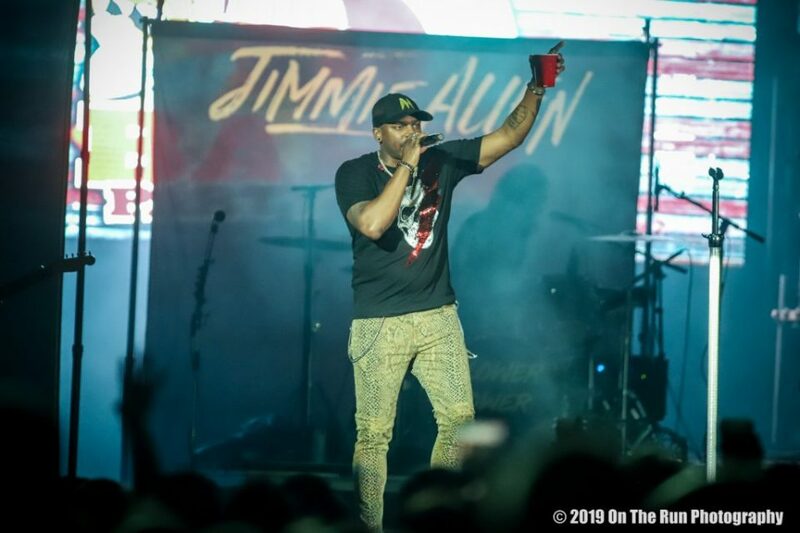 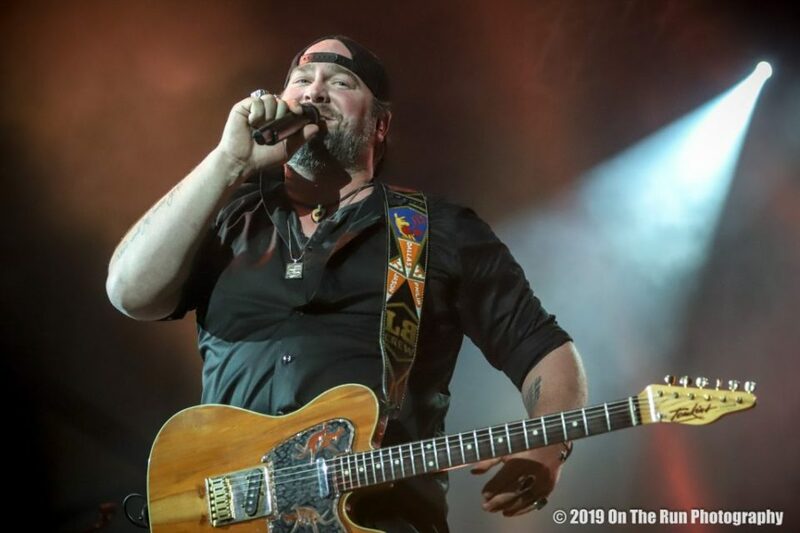 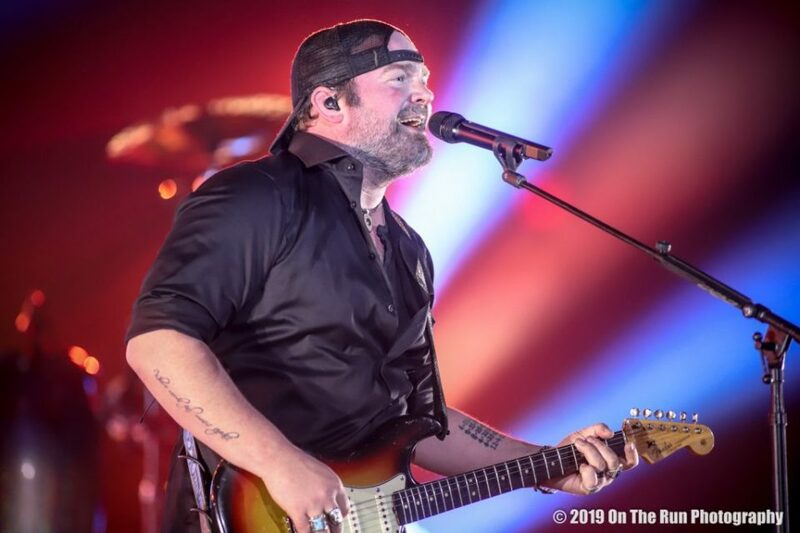 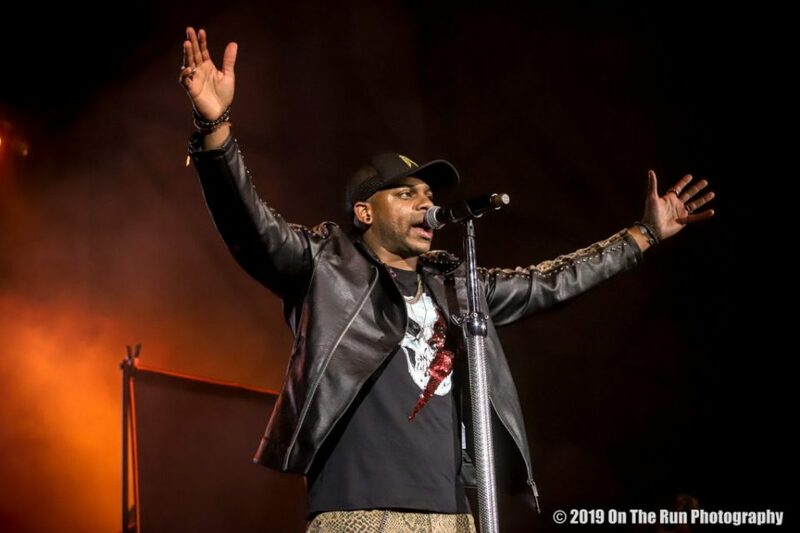 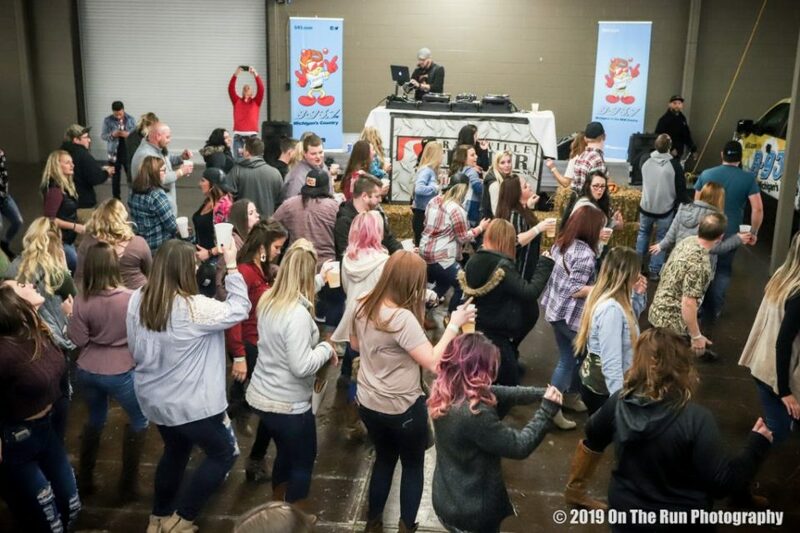 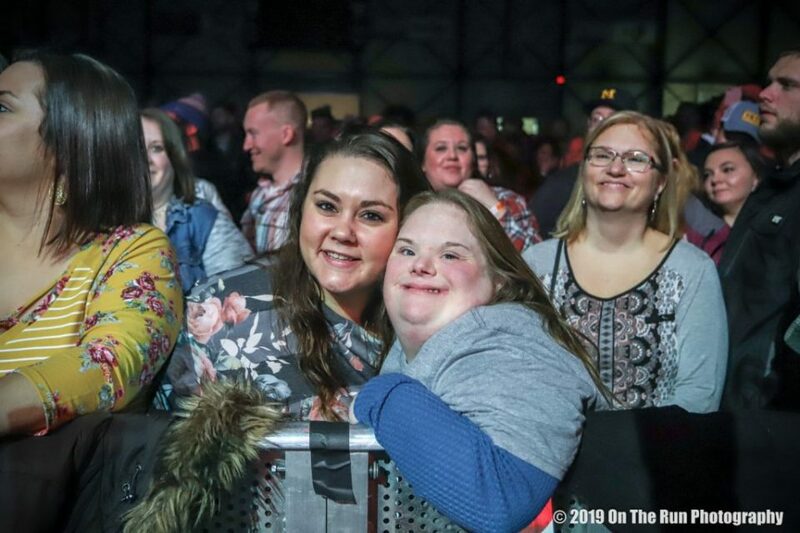 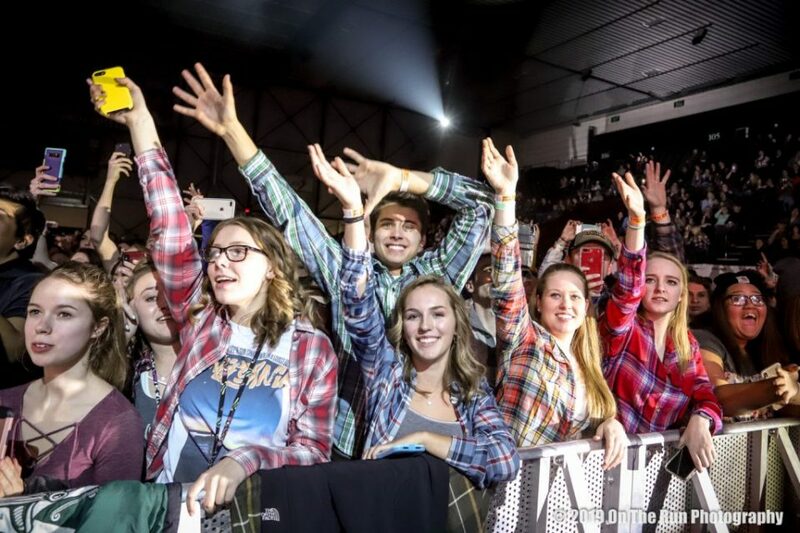 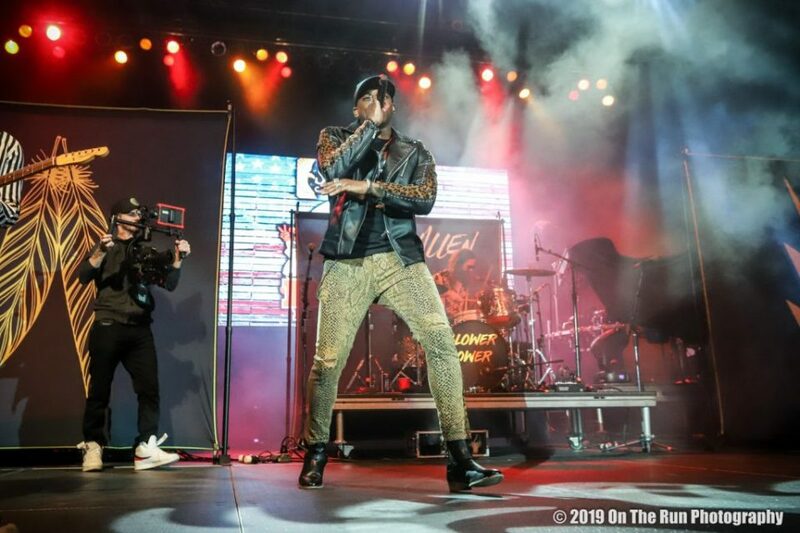 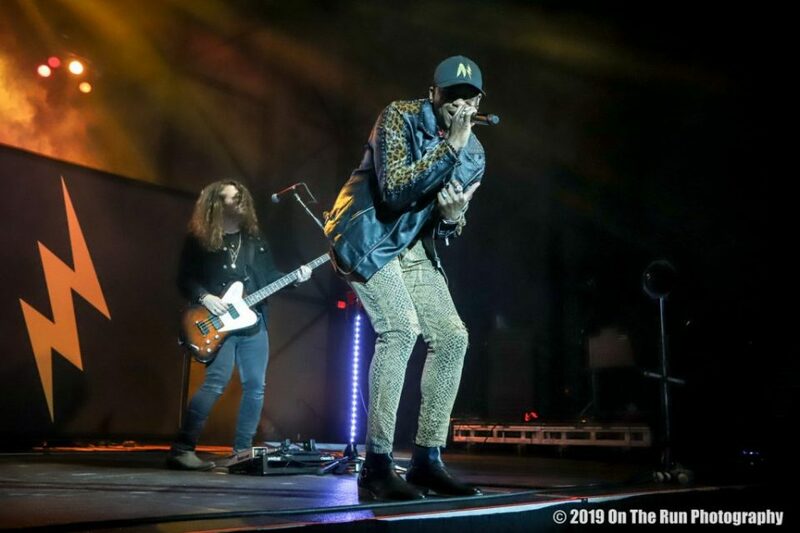 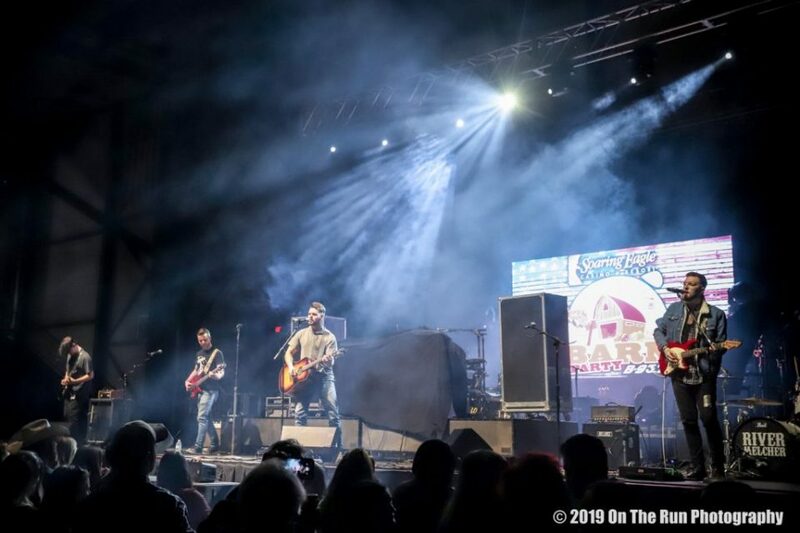 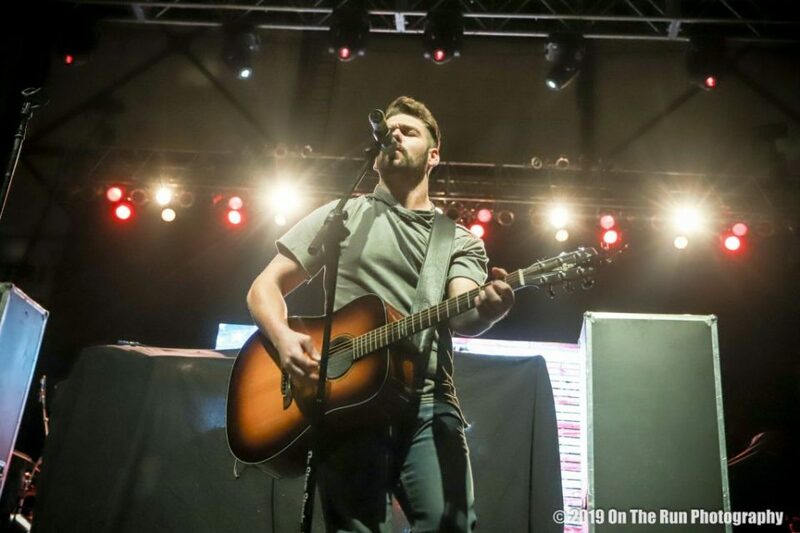 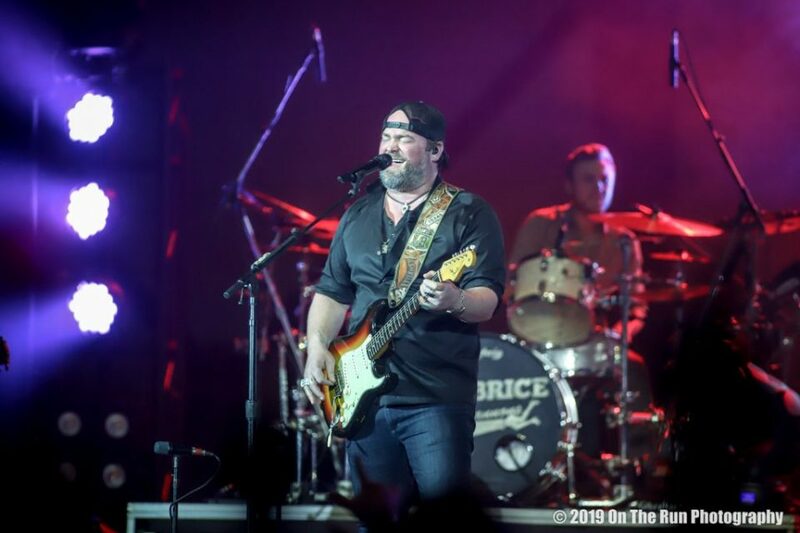 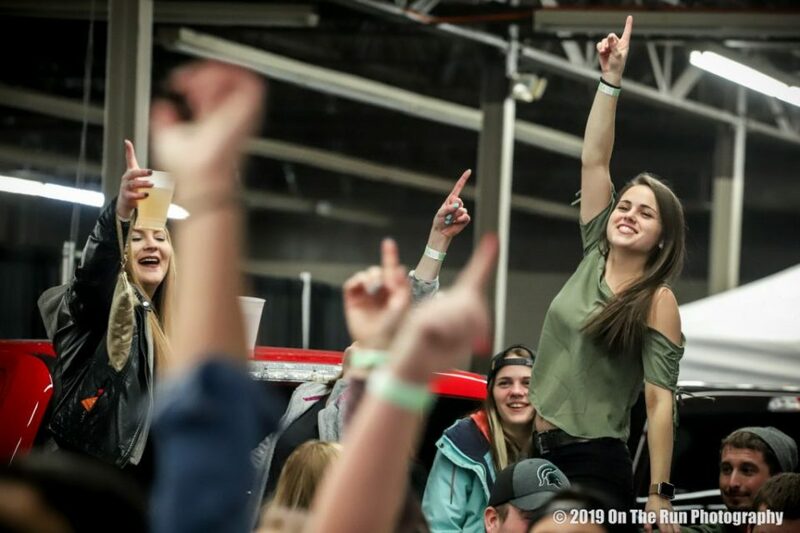 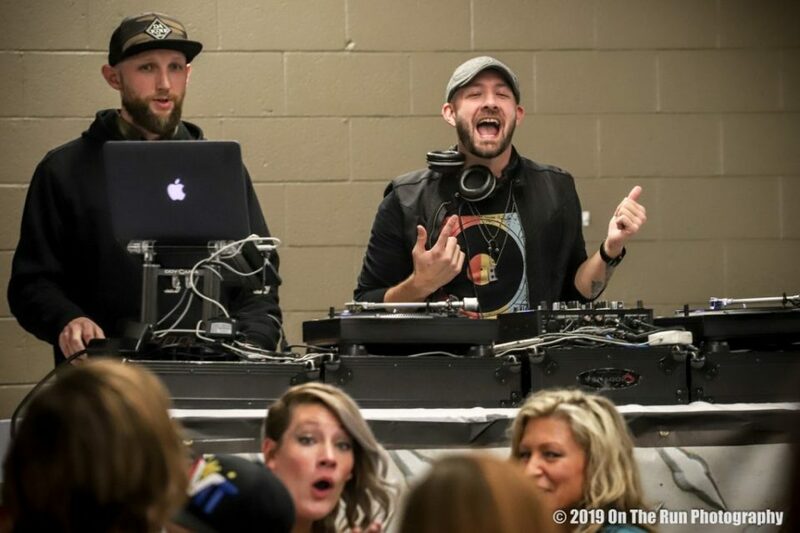 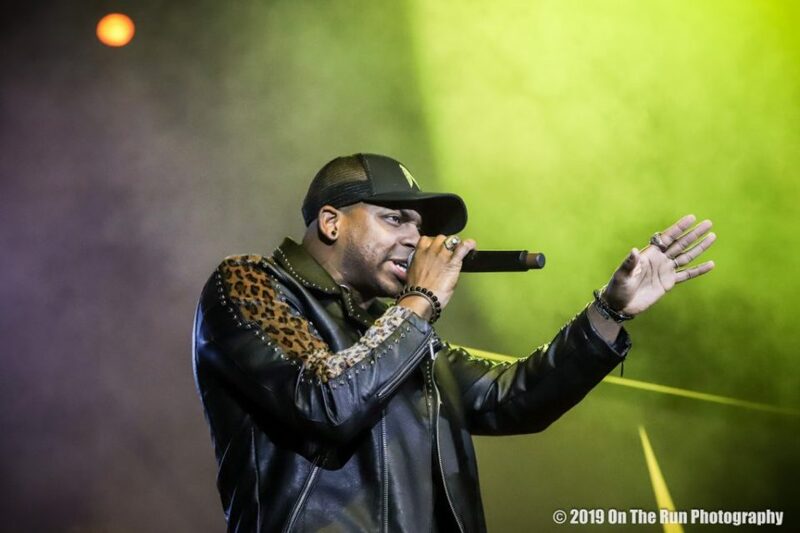 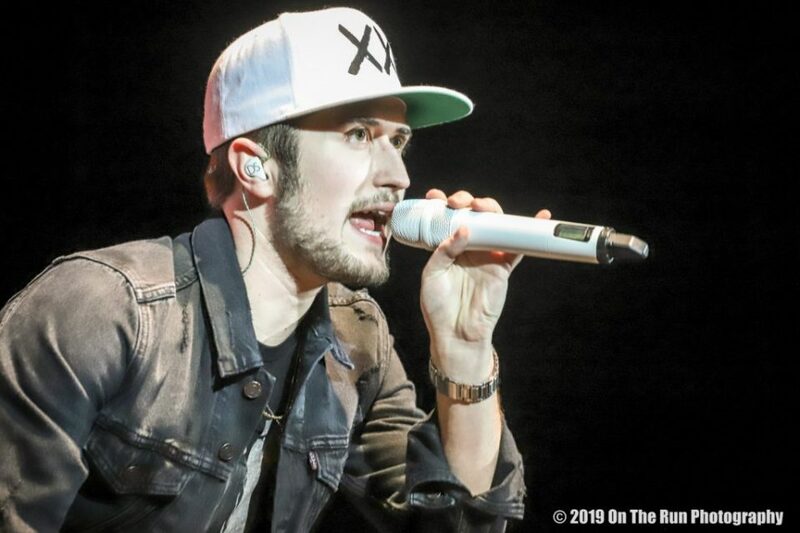 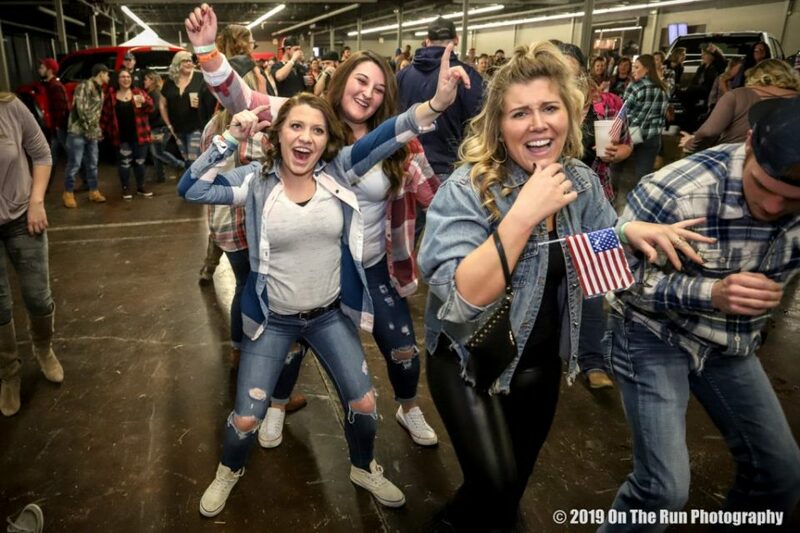 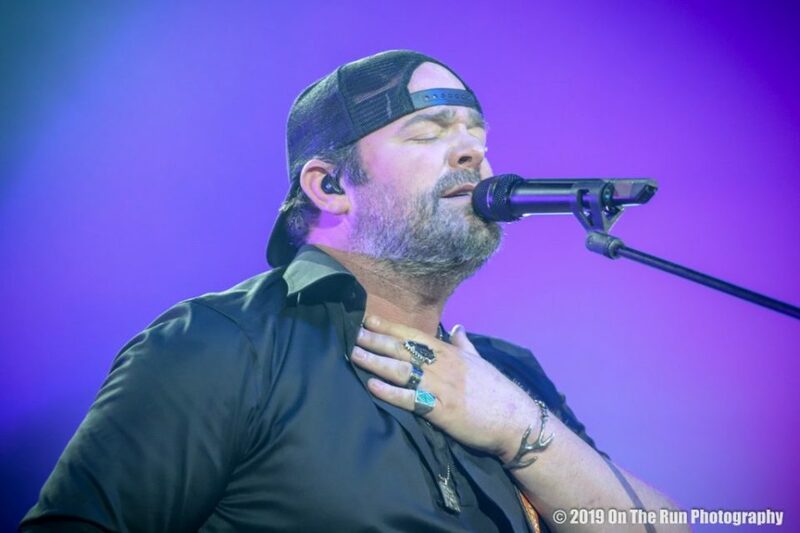 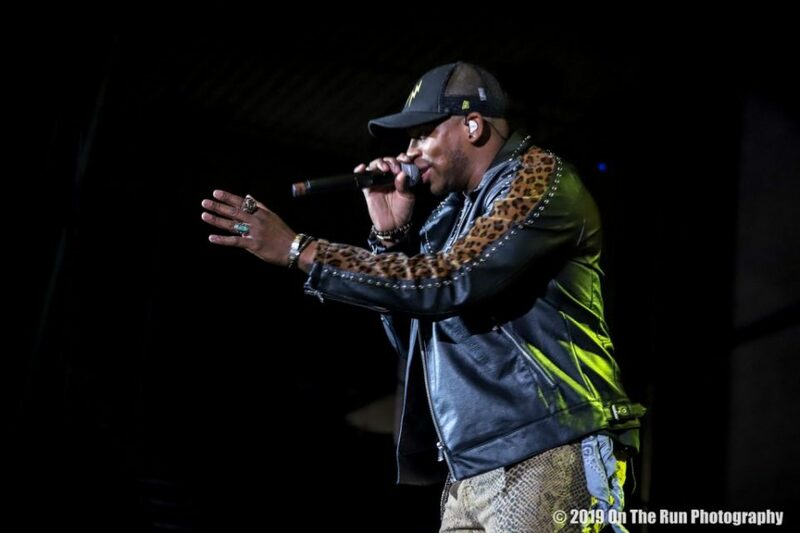 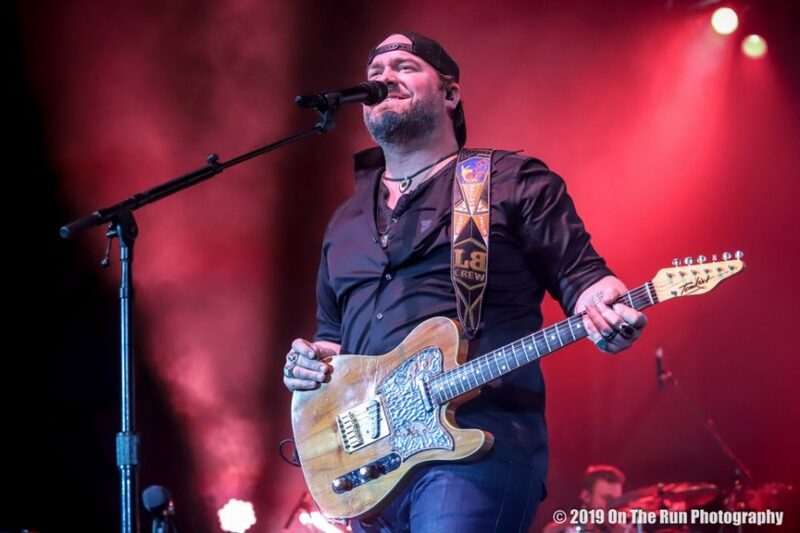 Elsewhere, country singer Lee Brice headlined Saturday’s big “Barn Party” hosted by Grand Rapids radio station B93 at DeltaPlex Arena, with Jimmie Allen, Dylan Schneider, Jon Langston and River Melcher also on the bill. 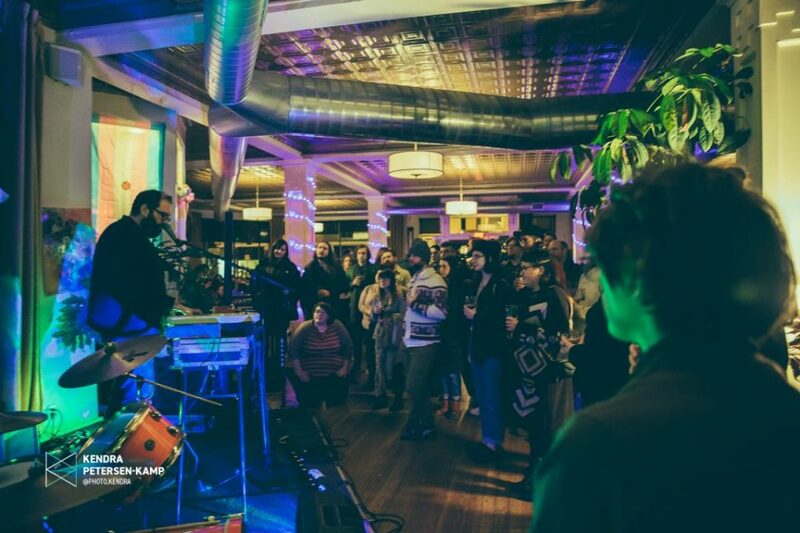 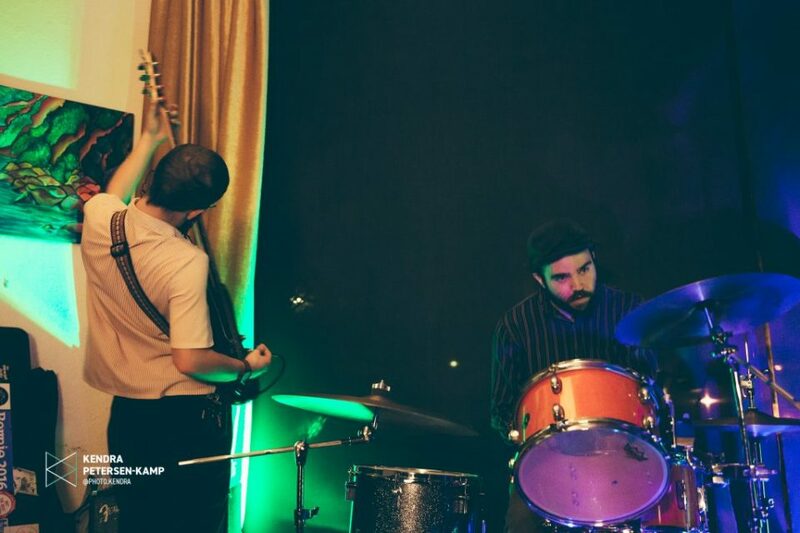 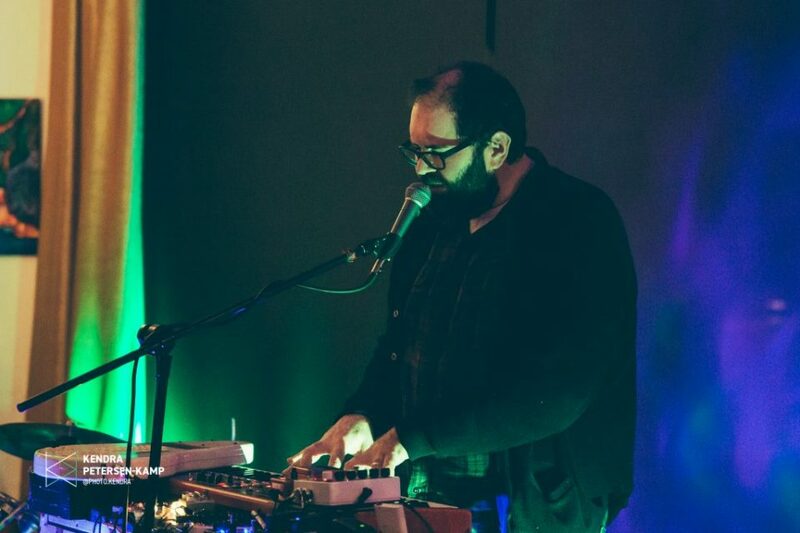 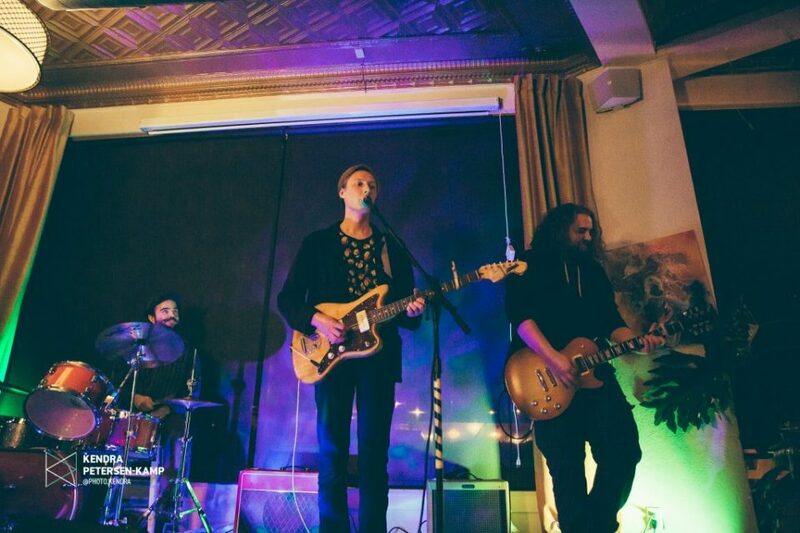 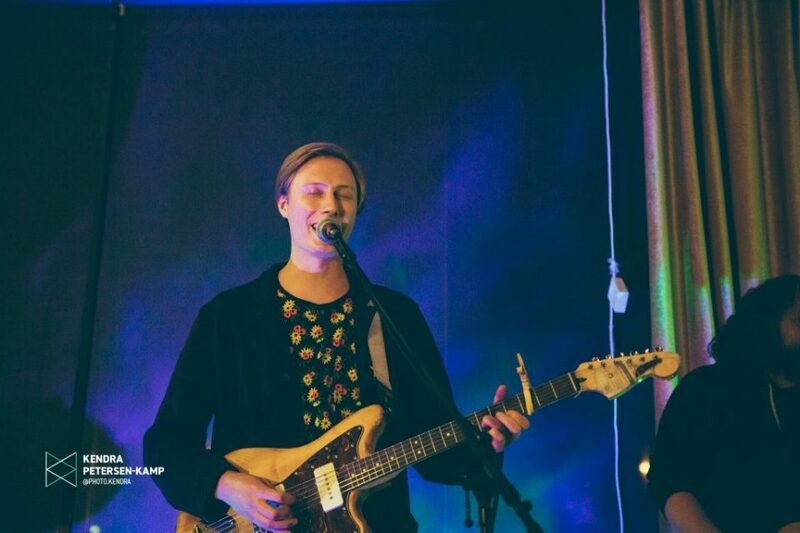 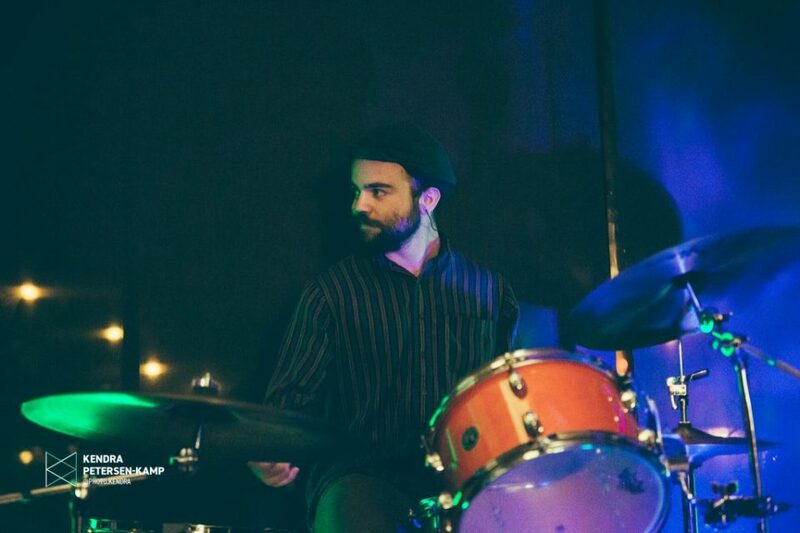 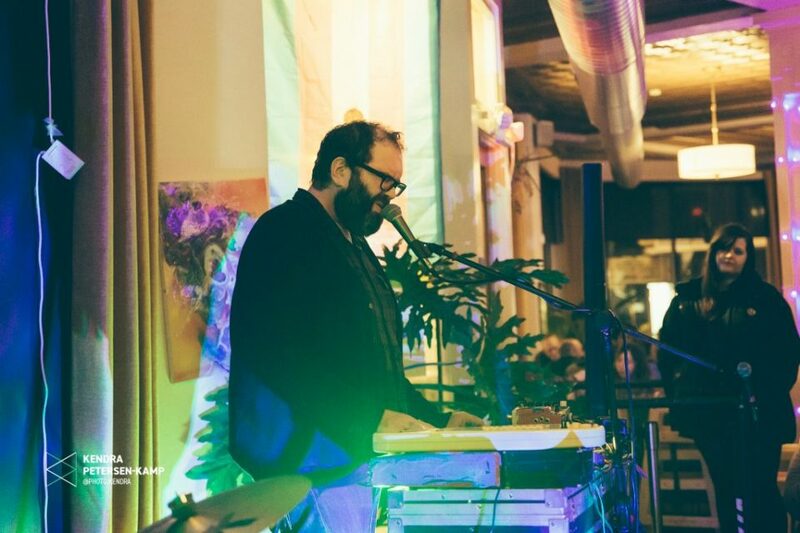 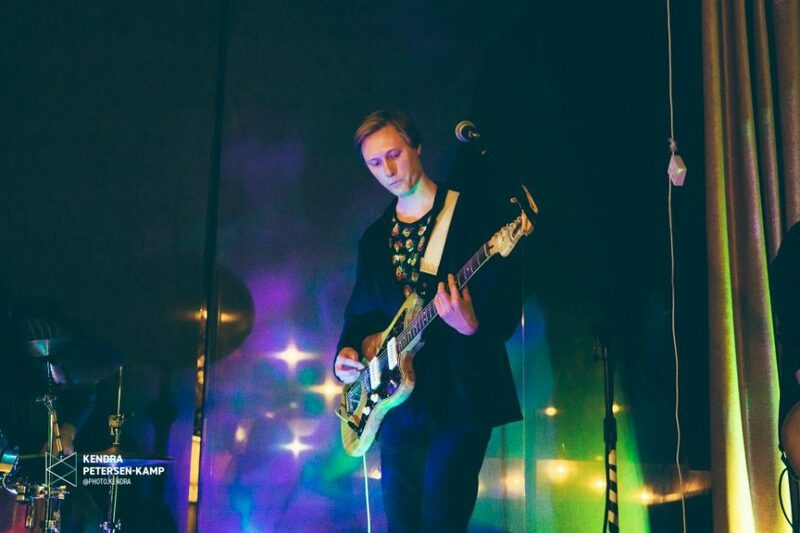 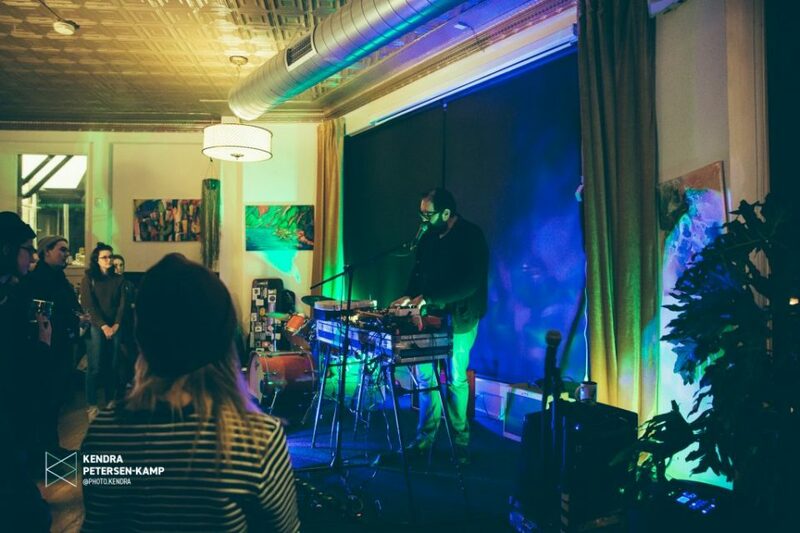 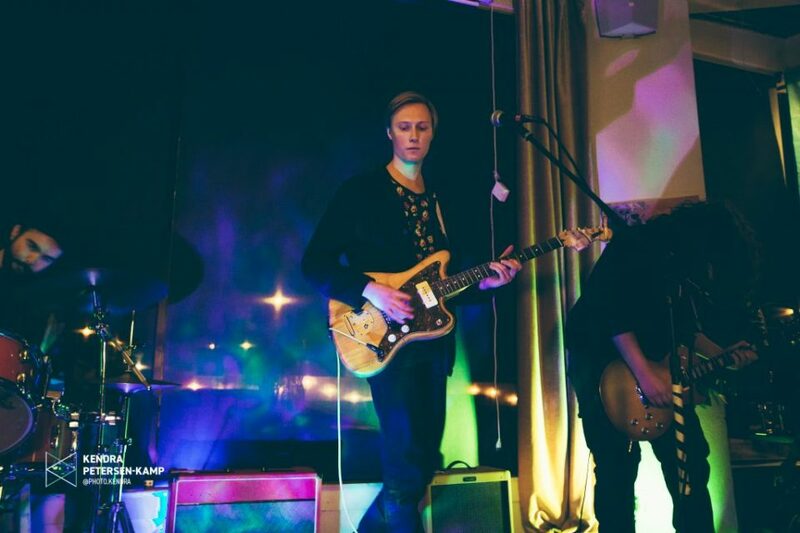 On Friday night, Chicago lo-fi pop act Advance Base, along with Grand Rapids’ Parlor Voice and Mel N. powered up the evening at Creston Brewery in Grand Rapids. 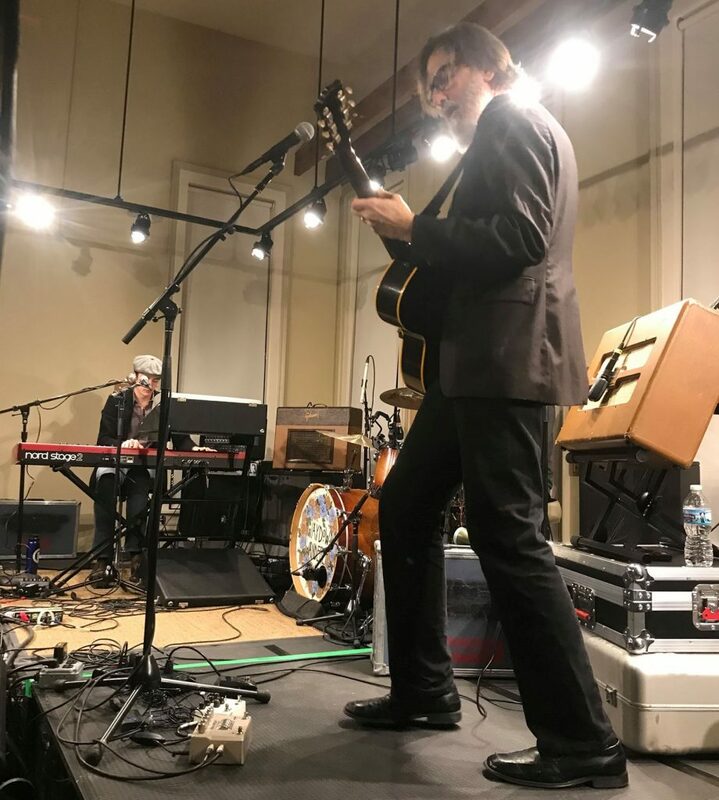 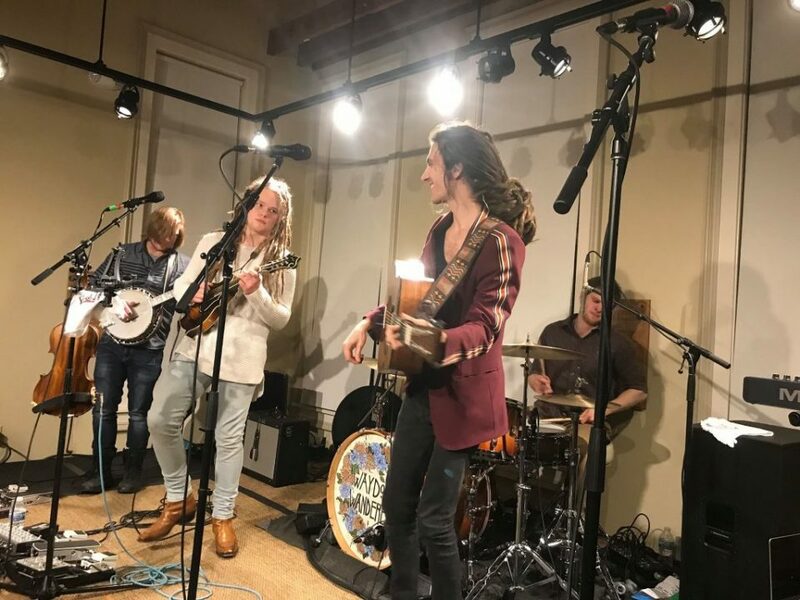 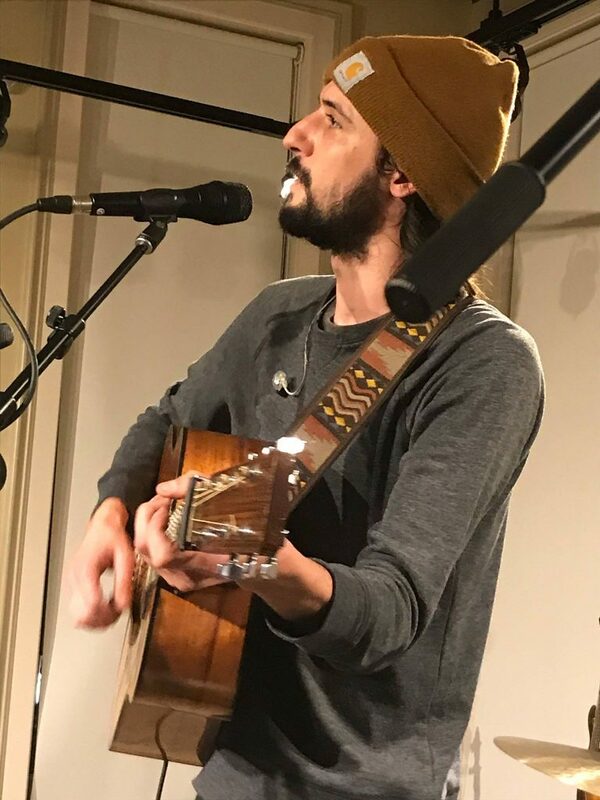 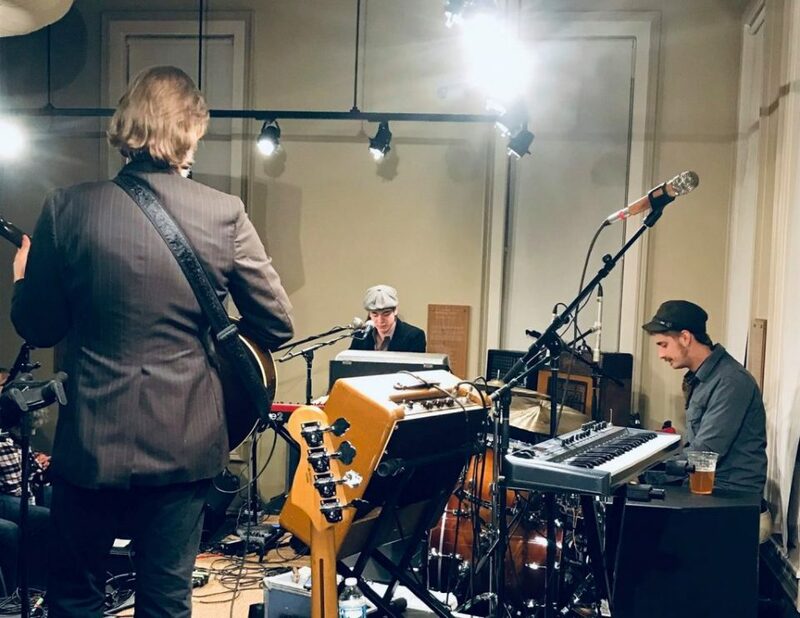 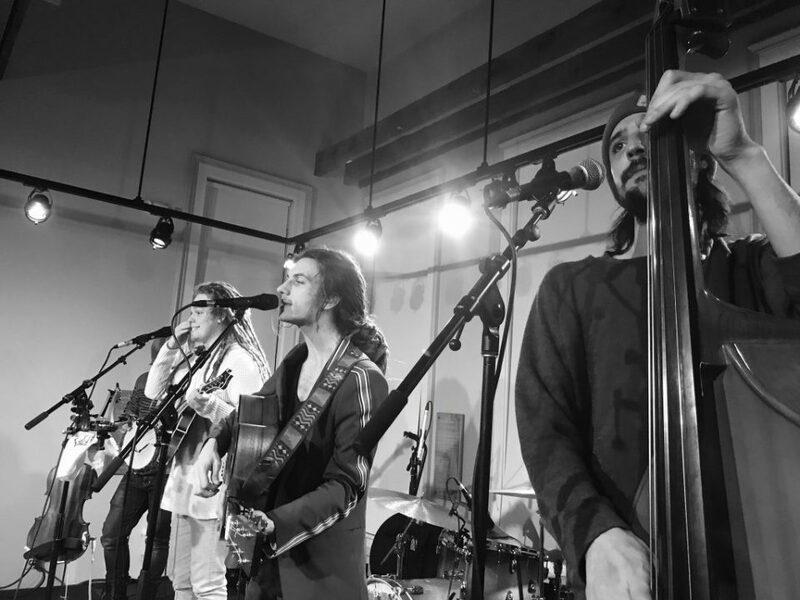 Also on Friday night in Grand Haven at the Tri-Cities Historical Museum, the Way Down Wanderers and Charlie Millard Band regaled a sold-out house as part of the Music at the Museum concert series. 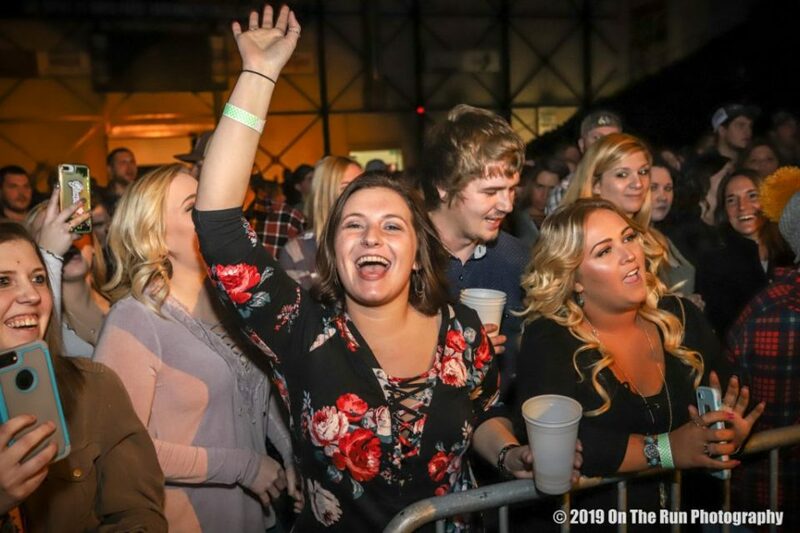 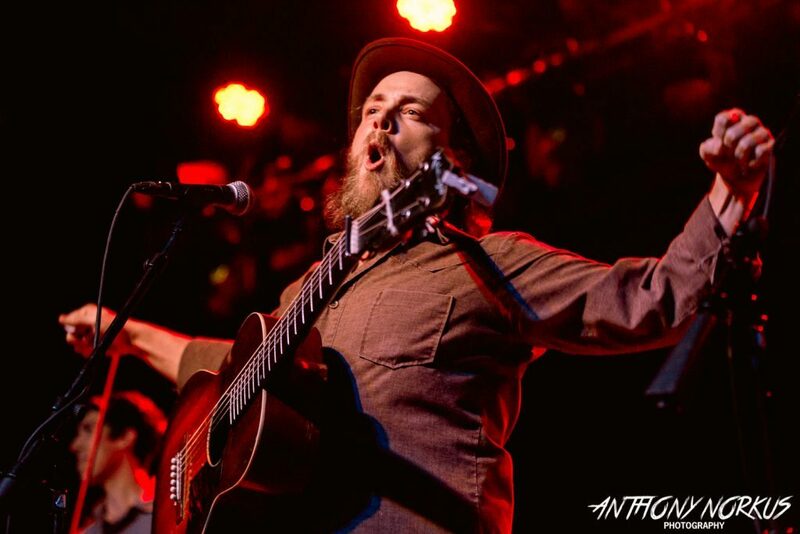 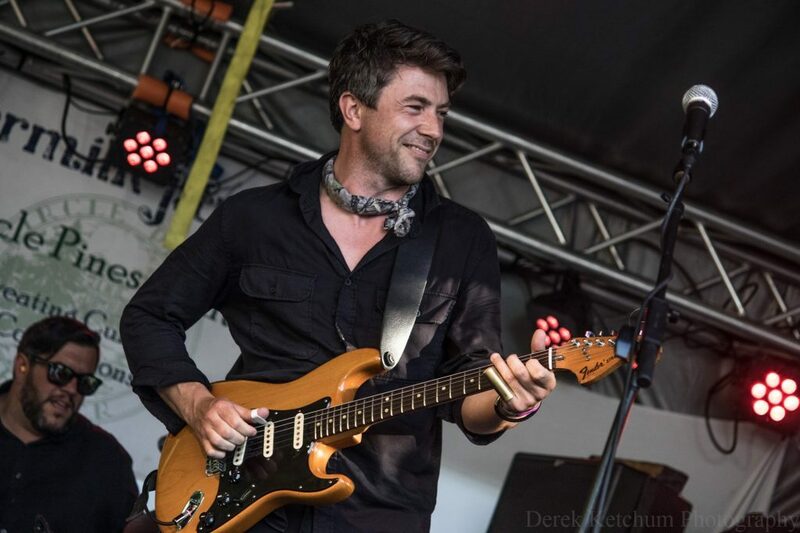 Check out separate Local Spins reviews and photos galleries from Saturday’s Winter Wheat festival at The Intersection and the Hal Beveridge memorial jam at Eastern Avenue Hall, paying tribute to the late Grand Rapids musician.